The core competencies of your team will inevitably change over time. As technology progresses and customers demand new products and services, you’ll be forced to adapt. The skills that your team uses now will need to be reshaped and upgraded, but keeping up with those changes isn’t always easy. 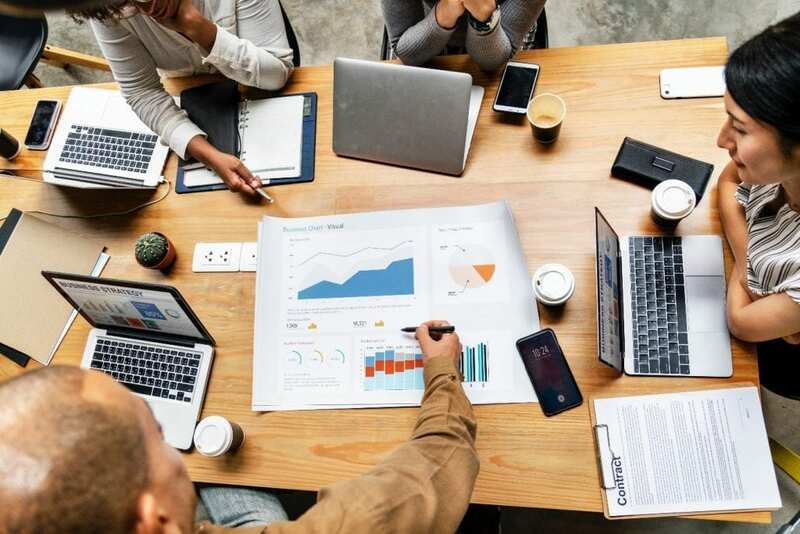 As the need for upskilling and reskilling your employees becomes greater, your organization needs a way to track the necessary trainings to ensure your team is ready to stay competitive in an ever-changing environment. 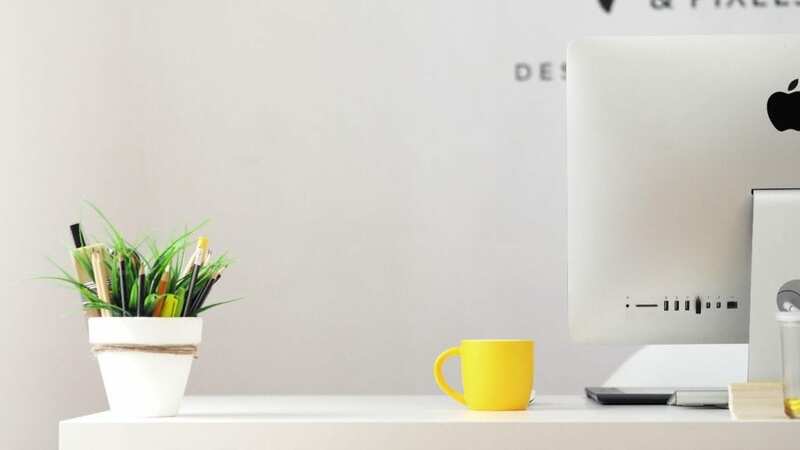 “According to a recent McKinsey Global Institute report, more than 375 million workers may need to completely change their skill sets by the year 2030. This would happen because of newer technologies such as digitization, AI (artificial intelligence) and automation disrupting the world of work,” according to difin. 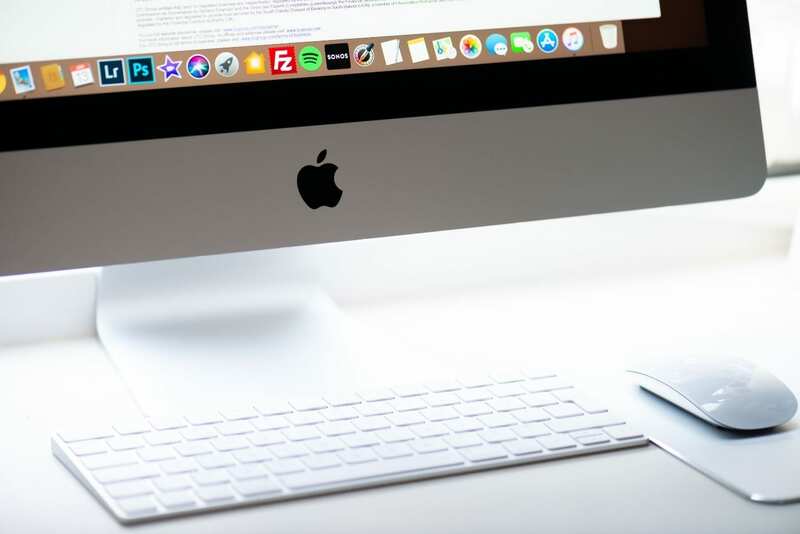 While it may be difficult to predict the exact industry changes that will occur beyond the next decade, there’s no denying that technology is playing a significant role in the workplace. Preparing your company with a competency management software to track competencies, perform online trainings, and map out the skillsets necessary for each role can help. Research shows that 40 percent of employees who don’t receive the necessary job training to become effective will leave their positions within the first year. Placing an emphasis on upskilling is a win-win because it will help you to retain top talent, and also improve the skills of your employees, resulting in improved performance for the whole organization. Upskilling your employees means new credentials will be necessary over time. And your employees will appreciate and recognize the company’s dedication and emphasis on continuous learning. In a recent survey of employee preference, 70% said that training and development opportunities influenced their decision to stay with a company. Reskilling is the practice of learning new skills so an employee is prepared for a new role on a different career path. While upskilling teaches employees advanced skills that allows them to improve and move up, reskilling is a lateral learning experience, for example changing from a Marketing Coordinator to a Web Developer. Reskilling is a practice that sometimes is needed as a maintenance as technology progresses, but also can be brought about my specific events in the economy. The recession brought on reskilling practices in nearly every industry. An estimated 2.6 million workers lost their jobs in 2008. As workers were let go, those left behind were tasked with more duties so production wouldn’t fall behind. The remaining workers were reskilled to complete the jobs of recently terminated co-workers. And some of the workers who lost their jobs were forced to reskill to get back into the job market. 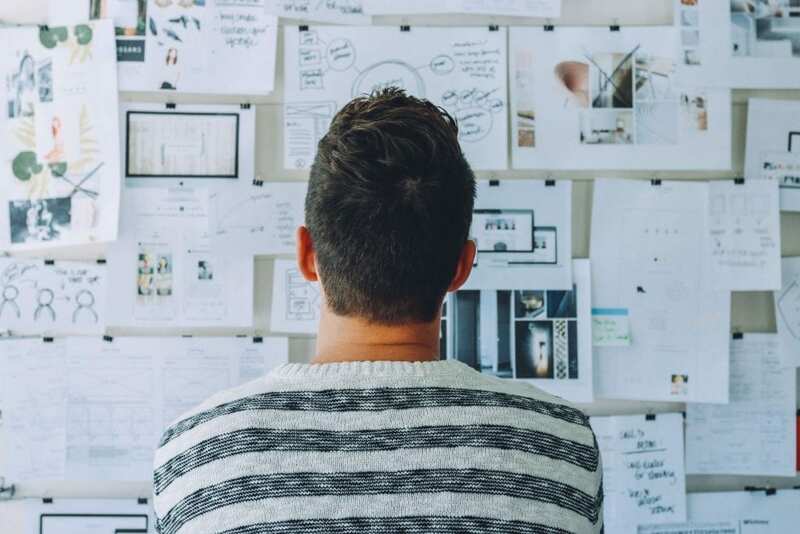 While the need for adding a skillset may be identified in an employee or a team, understanding the exact skill or how to go about training to the skill can be unclear. Having an established competency framework can help organizations to assign skill sets and competencies by role, document when reskilling or upskilling is needed, and train to these emerging requirements. When a worker is in a role and does not have the proper skills, there can be health and safety risks to the organization, especially in fields such as construction, healthcare, and manufacturing. A competency software can help forecast potential risks so managers and HR can take the necessary action to prevent any problems. A system of this kind can publish reports on any potential skills gaps, and highlight areas of new trainings that can help fill these gaps. This type of software can also be configured so employees can view optional skills and trainings, and have the freedom to upskill themselves and increase their value as an employee. For upskilling or reskilling that requires certification and documentation, a software system can track any necessary credentials in user profiles, and notify users when they need to be recertified. And maybe most importantly, a competency management software will prepare your team and company for changes in the future by incorporating upskilling and reskilling as regular practices into your organization. If you are interested in learning more, we offer competency management software, called the Competency Manager (CMGR), which solves these needs. Schedule a demo of our Competency Manager software today. Credentialing is an important task in a variety of industries, especially in those where there are health and safety concerns such as law enforcement, construction, or manufacturing. When there are legal requirements to credentialing employees and making sure they have the required skills and experience to do the job properly, it is crucial that organizations manage and track this information effectively. 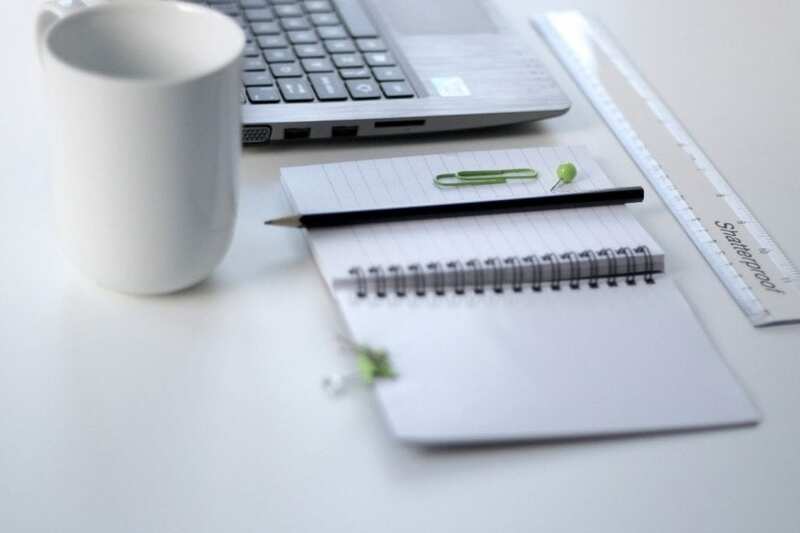 For smaller organizations, the credentialing process is usually managed with filing cabinets and a combination of Office Suite applications such as Word Documents or Excel spreadsheets. But as organizations grow and their needs become more complicated, software is needed to keep up to date with credentialing requirements. Keeping track of the required paperwork, managing any expired credentials, upcoming trainings, and more can be a cumbersome process. Credentialing is not only beneficial to the organization, but to the individual as well. Employees who have optional certifications in their required industry can be more valuable and get better jobs in their field. Robert Half’s salary guide suggests some credentials can increase your salary by 10 percent or more. 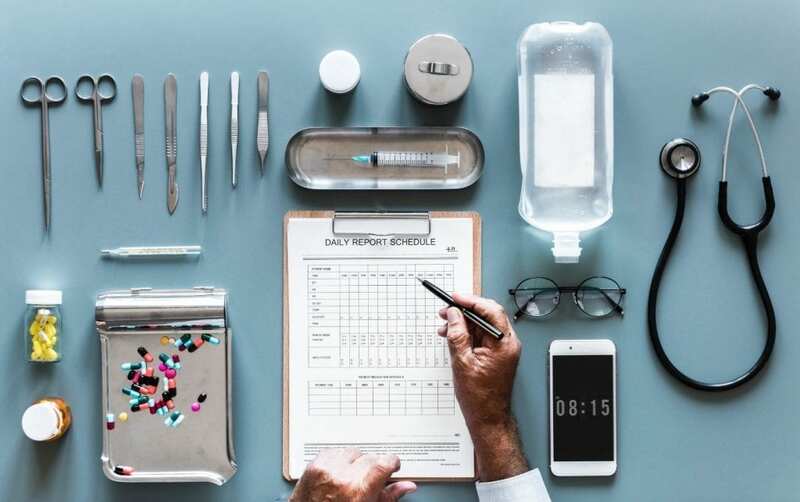 While there are many options on the market today, many cater specifically to the medical and healthcare industry, which is the most credentialed industry according to studies from the U.S Bureau of Labor Statistics. 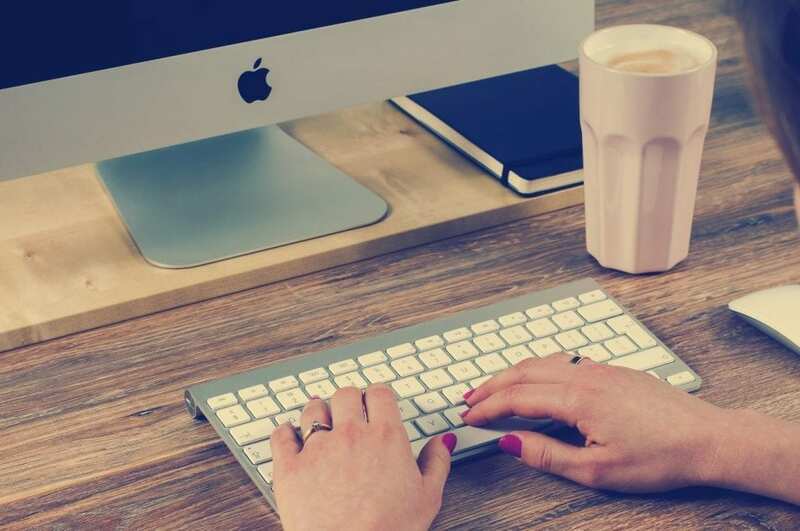 If you would like to learn more about the options available, read our article on the best credentialing management software platforms out today. 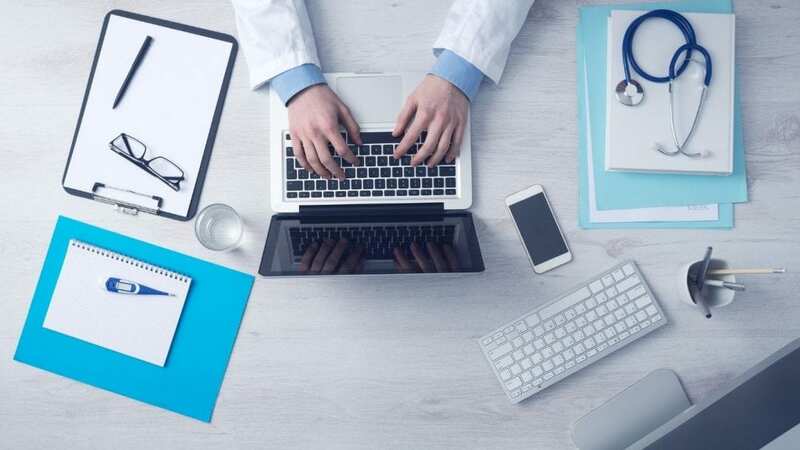 While it’s easy to recognize the importance of healthcare credentialing, its important to mention the other industries that can benefit from this type of software. In this blog post we will discuss these industries and how credentialing software can help make the process of tracking all required certifications and credentials more efficient and stress-free. Improve safety for officers and citizens. Avoid penalties and fines for lapsed credentials. Train a more prepared law enforcement for ever-changing technology. 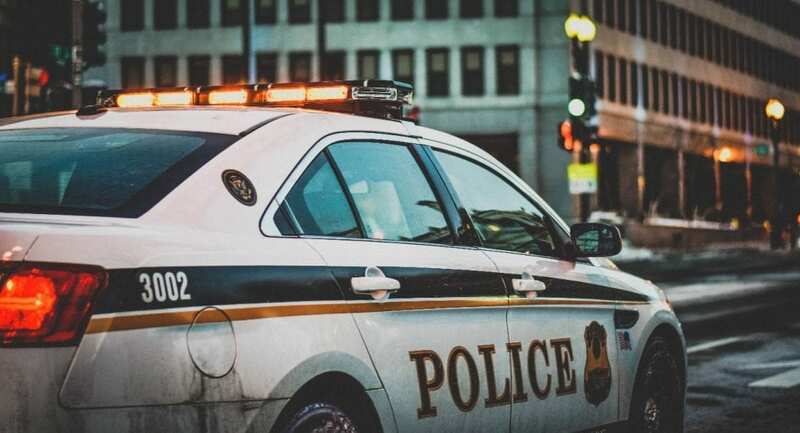 Credentialing software for law enforcement also allows the unit to not only track the certification of its force, but also make sure any third-party vendors are properly vetted. A law enforcement agency that has this type of software can make sure any vendors such as IT companies or security have the proper access credentials to be on site and perform their duties. When law enforcement officials are protected while doing their job, they can better protect the community. It goes without saying that quality construction companies don’t want just anyone constructing buildings or using heavy machinery on a project site. There are roughly 150,000 construction site accident injuries each year, according to the Bureau of Labor Statistics. Before a construction worker attempts a new skill, he or she must be able perform this in the field. A proper credentialing software system with training capabilities can administer internal certifications and records of completed on the job training. It can also store any outside certifications that are required such as OSHA, or other courses an individual has taken such as from NACE. This way no employee will be operating equipment that he or she is not properly trained on or is not certified. Credentialing software for a construction company can notify admins when employees need safety or other training, and when credentials are about to expire such as any OSHA documentation. By choosing a credentialing software that can be customized, construction company owners can also keep record of equipment and any maintenance work completed on the machinery. Ensuring that each machine meets OSHA standards of safety is crucial to maintaining a hazard-free work environment. Ensure workers are properly credentialed before operating large machinery. Keep all workers current on safety standards. Cause fewer injuries to workers on site. While credentialing isn’t as commonly required in manufacturing, it still can benefit an organization in that industry as well as prospective job-seekers. “Credentials included in this group cover foundational academic, personal and workplace skills; cross-cutting technical skills; and occupation-specific skills,” according to National Network’s list of manufacturing credentials. Whether your crews handle machining and metal working or welding and automation, having a competent workforce is important. 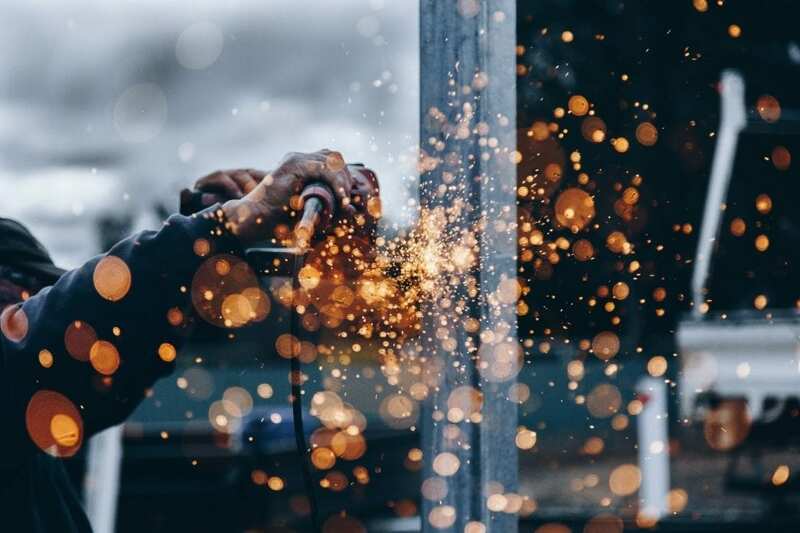 There are several organizations that provide courses and certifications in the field of manufacturing, such as the Manufacturing Institute, which offers everything from fabrication to die casting. Bettering the credentialing process in the manufacturing industry helps companies meet the overwhelming demand for skilled laborers. There is a projected shortage of 2 million manufacturing workers over the next decade, according to a study by Deloitte and the Manufacturing Institute. Utilizing a credentialing software for manufacturing can help companies recruit and retain the best remaining workers in the industry. The finance industry has many specialty credentials for experts in different areas. Whether your employees are tasked with assisting customers with their savings, retirement, or home loan, you need to know that the worker is specifically skilled in that practice. Different credentials are needed for different specialty services, like financial planning, retirement planning, investment management, and insurance professionals. A credentialing software for the finance industry is a great way to keep the credentials up-to-date. Hire and maintain the most qualified candidates. Build trust with customer by promoting the credentials of your employees. 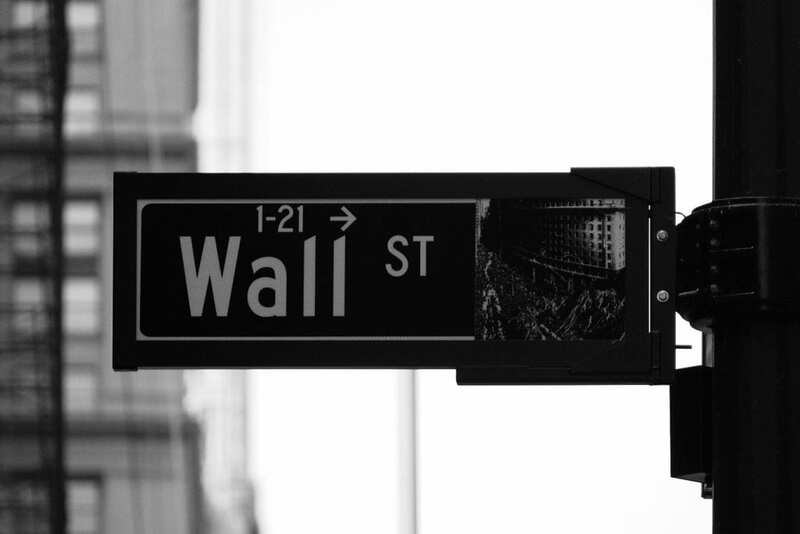 Meet all industry standards required for your financial services. Properly advise your client’s finances and promote growth within your company. Because there are numerous credentials available to finance professionals, the credentialing software allows you to keep track of them all in an efficient and automated way. There are more than 6,200 hospitals in the United States operating on a collective budget of more than $1 trillion, according to the American Hospital Association. With more than 36.5 million people being admitted into a U.S. hospital each year, it is easy to understand the important of credentialing in the medical field. While it’s crucial to offer the most skilled and qualified medical professionals to each person in need, its also important to consider the broader economy and other industries that impact the health and safety of individuals. For the local law enforcement units tasked with protecting those hospitals, proper credentialing is essential. The construction companies hired to build the hospitals or add on specialty units must have the most advanced skills to construct a reliable facility. For the patients who rely on proper manufacturing of medical devices and equipment, the credentials of those employees are important too. And lastly, without the professional financial guidance and backing of finance facilities, the hospitals may not be able to stay in operation. All of these significant and important industries work together to keep the public safe and healthy, and require the use of proper certifications and credentials. The organizations that can manage these requirements the most effectively use software to do so. As your credentialing requirements evolve and grow, consider the benefits of implementing a system that allows you to track, renew, and monitor the necessary credentials of your team members automatically with software. We have built a program that solves this need, called the Competency Manager. If you’d like to see a product demo of our competency and credentialing software system, or ask any other questions, please visit our website. Competency Management Software can help organizations manage and grow the skills, knowledge, and behaviors required for each employee to perform successfully to a job role. The earliest version of this type of software was custom developed by government organizations such as NASA and the U.S. Coast Guard. Today, this type of program is available to all companies, and is especially useful to those in manufacturing, construction, finance, healthcare, and more. 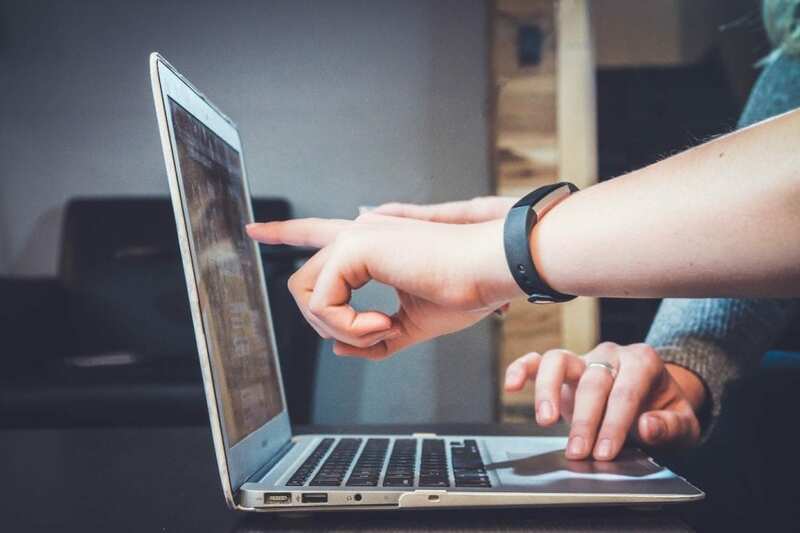 The best competency management software programs are not only designed to track employee competencies, but they’re also built to be modified as the company grows and those requirements evolve. We discuss the value of this type of software in more detail in our article on competency management and the future of learning and development. Competency management can benefit employees by allowing them more opportunities to grow their skills and aid in their professional development. These benefits also help the entire company grow and succeed. 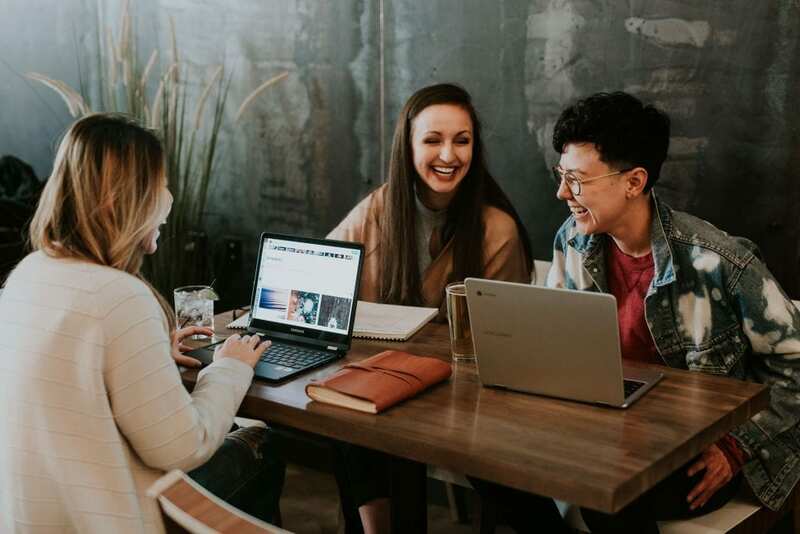 According to the Association for Talent Development (ATD), companies who invest in advanced training tools, like competency management software, enjoy a 218 percent higher income per employee compared to companies that do not. Finding the competency management software that best fits your company is not easy. The program must solve your immediate learning and development needs, be easy to use, and also be able to evolve and be customized as your organization grows. To help with your selection process, below we have outlined the top 8 competency management software systems on the market today. Avilar’s competency management software can be used to train your individuals, understand the skills of your workforce, and perform competency assessments. The power of the system comes from the Avilar Employee Competency Model, which is comprised of more than 350 skills within 50 skill groups. The model is designed for corporate, government and non-profit organizations. It addresses three key skill sets for the many facets of your company: Professional Skills, Leadership Skills, and Occupational Skills. Avilar’s content partners offer easy access to up-to-date and cost-effective online training courses. Their competency-based performance management tool can be used “as is” or customized to meet the specific needs of your organization, and the organization can work with you to consult and implement this system. The HRSG’s Competency Core gives access to 300+ behavioral, technical, and leadership competencies. The competencies can be edited and linked to the job descriptions in your company. The software also comes with existing job descriptions such as accounting, marketing, and software development. The behavioral competencies focus on the soft skills of your employees such as team-building or time-management. Technical competencies cover the application of knowledge and skills to perform specific tasks. Leadership competencies are used to harness leadership talents and translate them into measurable skills and behaviors. 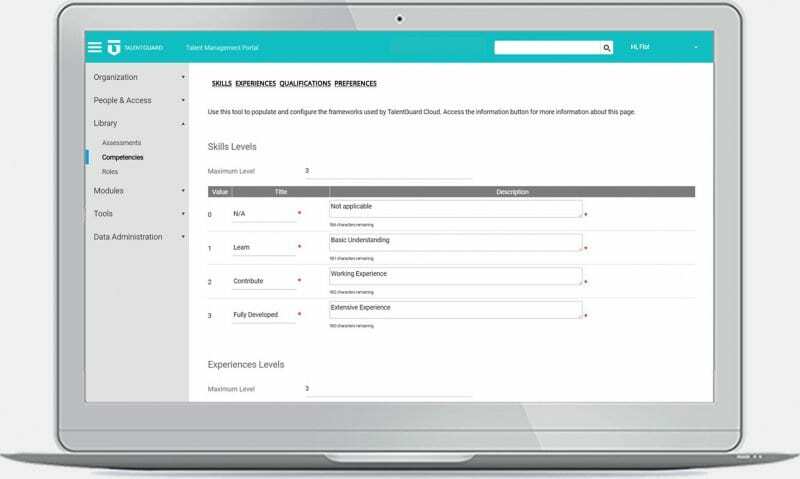 The system even allows you to build competency-based interviews for the onboarding and hiring process. And for existing employees, they have access to career management tools to promote internal growth and advancement of their career within the organization. The competency management system from Kahuna is ideal for small to large corporations who are in need of a cloud-based system to assign competencies and assessments, track performance, and plan for future workforce needs. Kahuna also offers a mobile app that makes core competency tracking easier for managers. The software can also suggest development opportunities for existing employees as needed. And if this does not solve company needs, Kahuna can create action plans to hire for those required skills. Lexonis partners with IBM to offer a comprehensive library of technical and behavioral competencies so companies can customize the skills needed for individual positions. 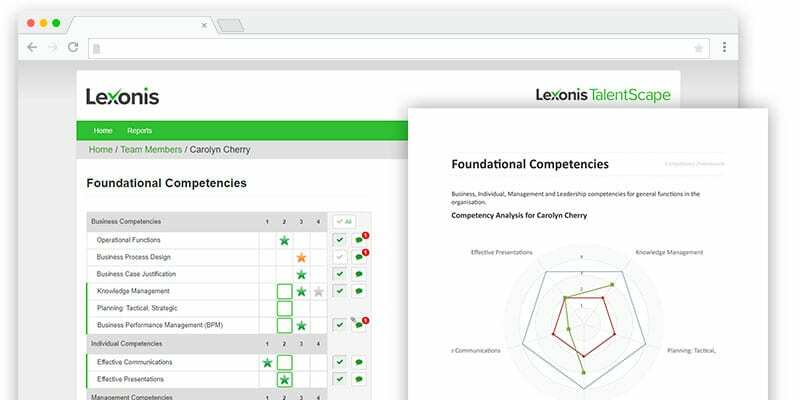 The Lexonis Competency Framework goes beyond competency management by also offering performance management, career planning, and recruitment. The program helps company owners and managers view, manage, and share competency data from one convenient location. The cloud-based system is subscription based and easy to launch. The Talentguard competency management system consists of thousands of skills in more than 22 industries. The software allows employees to showcase their skills, experiences, certifications, and work history, and can even be used to crowdsource employee suggestions of new skills. There are multiple levels of proficiency in each competency to allow for growth of each employee. The system also provides interview questions and coaching tips for supervisors while assisting employees with different competencies. Lastly, TalentGuard provides consulting services for its customers in areas including career pathing, performance management, competency development, succession planning, and more. Simple and easy to use, the Skills DB Pro Competency Management Software is designed to accurately evaluate the skills of current and new employees. Skills DB Pro allows you to set up the desired skill set and skill levels for each job role in your company. The software can be customized for your team and the company offers the services of competency framework consultants who help “expedite the process of developing a competency framework for your business.” The system offers more than 3,000 skills and 2,000 job roles. The Skills DB Pro consultants create your custom system by using pre-defined skills and roles to help launch your software more quickly. You can also use the software to identify any skill gaps and create training plans to fill them. 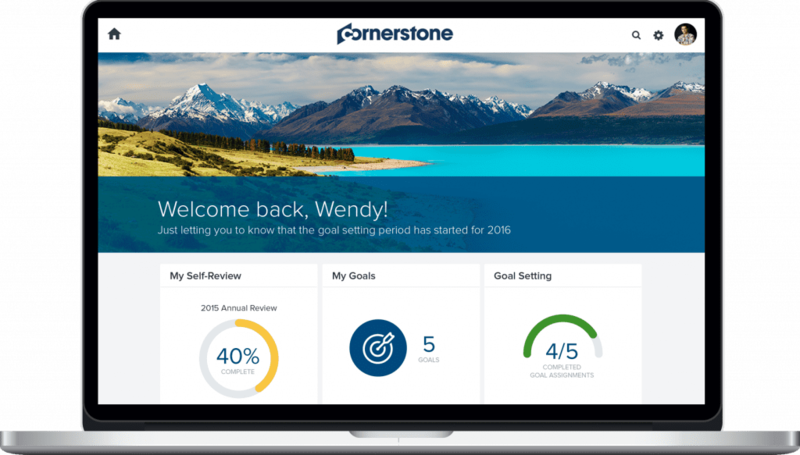 Cornerstone offers a wide range of HR-centric tools including a recruiting, learning, performance, and HR suite. They offer competency management software as part of their performance management suite. The program catalogs, manages, and develops the skill sets of employees, and includes pre-defined competencies to help businesses assign the correct skills. Cornerstone is able to work with large enterprise organizations and smaller one as well, and has a team of experts standing by to help with implementation. 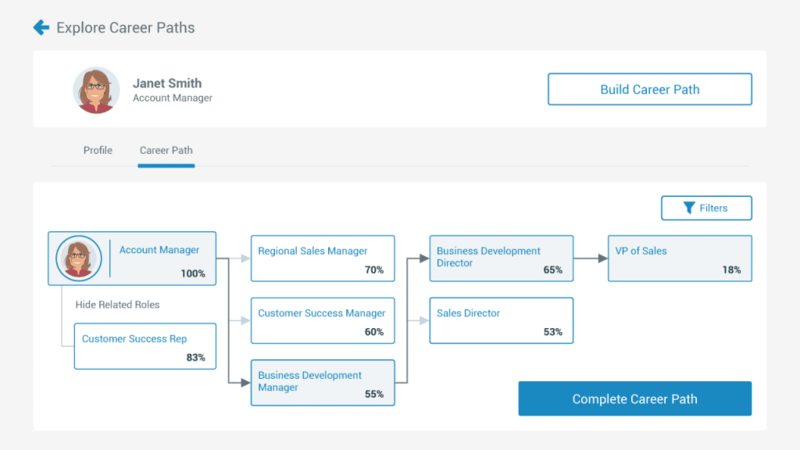 Cornerstone works as a complete HR suite to keep the onboarding, training, and competencies in one central location. With the software you can enable your teams with curated content that includes targeted soft-skills, technical skills, and super-skills, and can select talent that will benefit most from upskilling and reskilling. Here at CABEM we have studied the changing learning and development landscape, and as a result of our findings, developed the Competency Manager to help organizations with their talent management needs. The program is a competency management software that provides a framework for individual competency. With it organizations can build competency models, train employees, track credentials, and reduce risk. The software is designed for you to create learning and development programs, assign them, and track the required hard and soft skills employees need based on their assigned role, location, and more. The software allows for storing any required certifications and individual credentials, and comes with a reporting suite that includes a skills gap analysis, activity grid, risk reporting, and more. Our team works with you to identify your needs and can customize the software with modules or further development if needed, or it can be deployed in the cloud and you can get started right away. 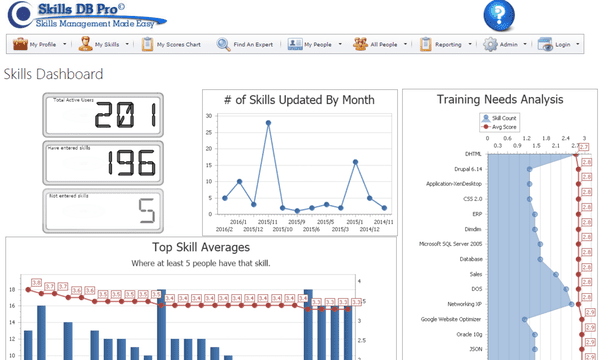 If you are interested in learning more about the Competency Manager, we’d love to schedule a demo today. Credentialing is the “verification of a person’s education, training and experience” according to the compliance company HCPro. This process to make sure that individuals have the proper documentation and are proficient in performing their duties is necessary to keep organizations compliant. Whether you’re tasked with renewing your own staff’s qualifications, need to verify vendors’, or both, keeping necessary credentials valid and up to date is crucial. Most often used in the healthcare field, an individual needs credentialing if he or she is “In general, any licensed, independent, healthcare professional who has been permitted by law and regulated by a licensing organization to provide services and care…” according to the NCBI (National Center for Biotechnology Innovation) working with the NIH (National Institutes of Health). 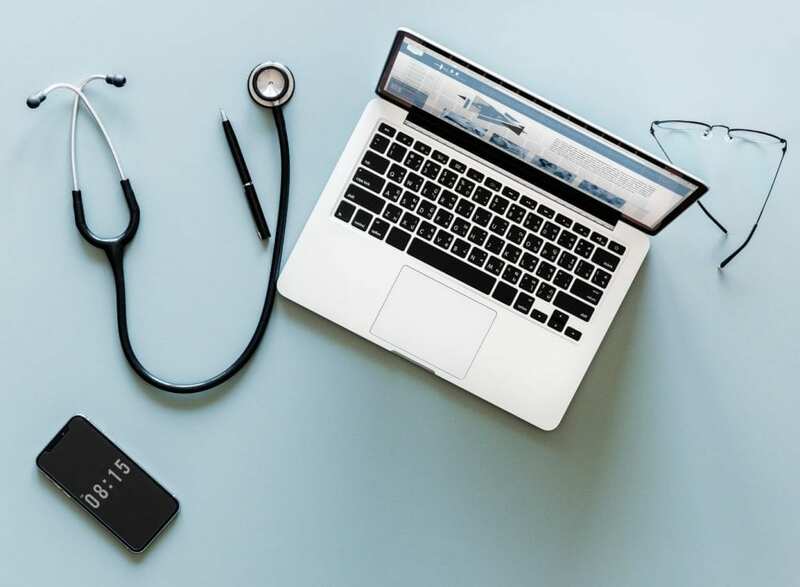 While credentialing is most often discussed in the healthcare field, it is also a necessity in many other industries including law enforcement, manufacturing, construction, finance, and more. In some cases, employees are tasked with assessing themselves. 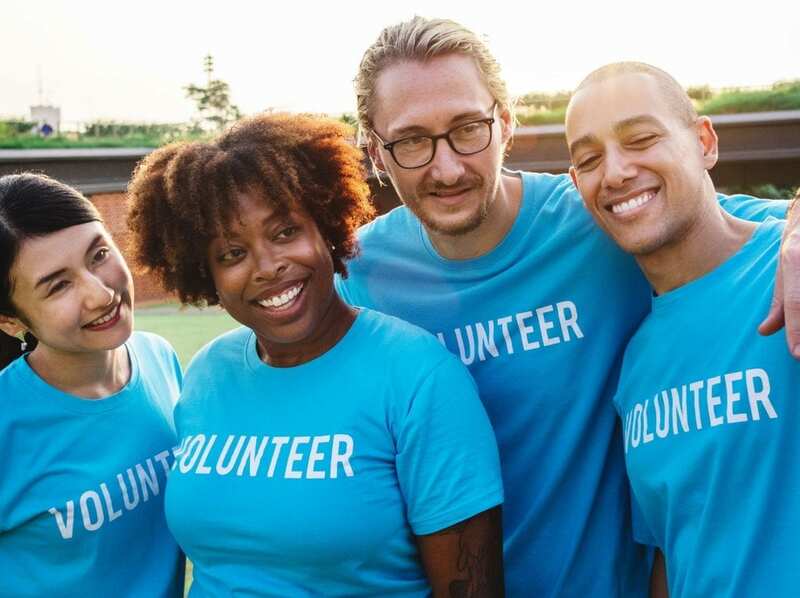 In others, a team within an organization, such as an HR department or Compliance Group, is designated to handle skills assessments and the credentialing process for its members. In either case, the credentialing process is far from easy, and can be a time-consuming and tedious task. Managing certifications usually requires that an organization keep record of an individual’s expiration dates, certification requirements, compliance with any regulation changes, and often much more, for all of its members. Taking extra precautions in your credentialing program is especially vital given the many regulation changes in recent years. “Over the past 20 years, the credentialing process has become complex and onerous primarily due to the expansion of the provider scope of practice, accrediting bodies, and requirements of third-party payers like Medicare, Medicaid, and private insurers,” according to the NCBI. While credentialing is not a novel concept, it has evolved greatly over the years and gotten increasingly more complex. In order to make the process as stress-free as possible, it is important to be aware of common pitfalls and how to avoid them. Contacting the many sources for credentialing verification means you need to start the process early. It’s best to give yourself at least 150 days ahead of the credential expiration date for the application to be processed. 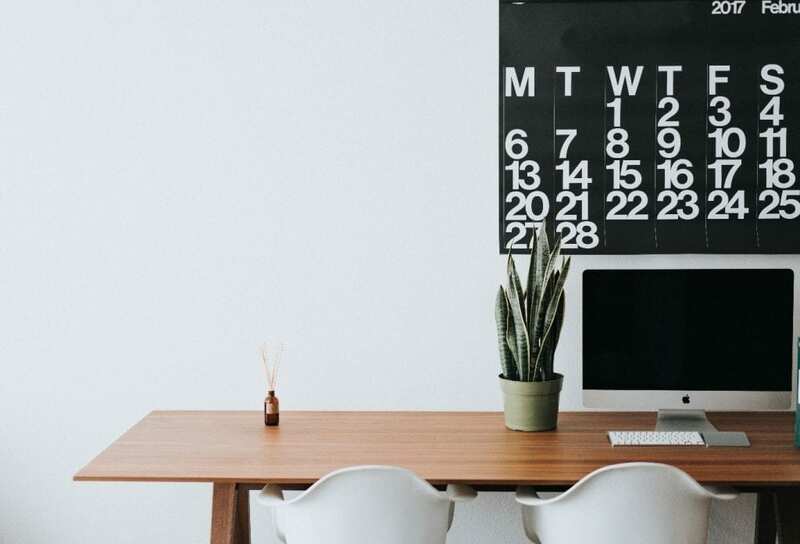 Keep in mind that working this far in advance can bring its own challenges, as it means you are constantly processing credentials for different team members at different times, and must have a method for managing your ever-rotating calendar of expirations. Errors documented on an application can prolong the credentialing process or lead to a denial in certification. Practice information such as the address, phone number, services provided, employment history, copies of licensure, and documentation of any legal troubles involving the practice will be requested on the credentialing application. Before it is submitted, the credentialing document should be thoroughly reviewed by more than one person to ensure accuracy, prevent any incomplete information, and ensure there are no issues. For organizations that are credentialing their members with a paper-based system, or even a system with an Office suite such as Word Documents and Excel spreadsheets, it can be difficult and cumbersome to track down the appropriate documents when necessary. Individuals with different filing conventions or document titling may take longer than expected to find their proper credentials or lose them altogether. To remedy this, agree as an organization to store the documents in an agreed upon content manager, such as in a cloud-based software, and use consistent naming structures. When credentialing is completed manually or by multiple people, even with consistent naming it is very likely that the documents are in different places on each respective computer or filing cabinet. If a key staff member leaves and does not properly transfer their documents to the replacement, it is common that some data will be lost in the process. Credentialing can be a complicated and tedious process. Make sure you have allocated enough staff and provided them with the tools they need to do the job properly. This process may require multiple team members or even a whole department, depending on the size of the organization and credentialing requirements. Take every step possible to confirm receipt of the application, see if it is being processed properly, and if there are any mistakes that need to be resolved. Do not rely on them to contact you, and keep in contact with the assigned personnel throughout, to help catch any issues in advance. 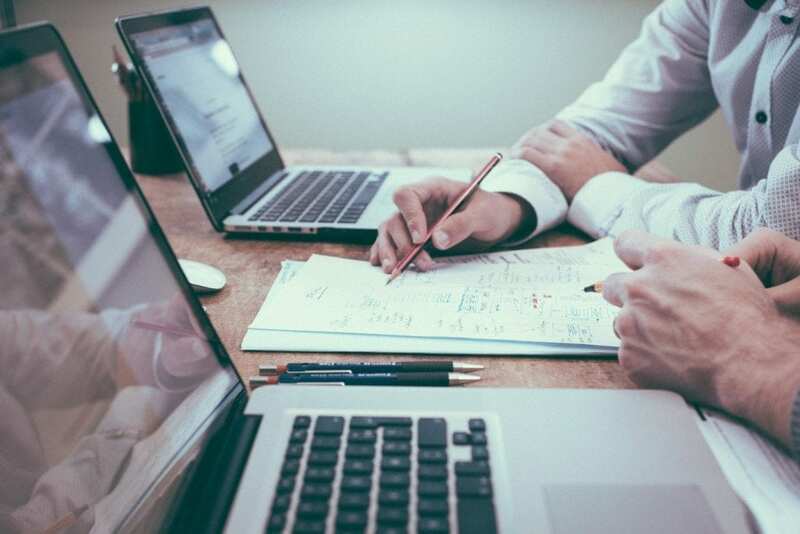 While these common mistakes and issues can cause legal challenges for an organization, they can easily be avoided by switching from a manual or paper-based process to an automated one with software. Let’s take a look at how software can lead to a more efficient credentialing program. And if you are interested, read our article on the best credentialing software programs available today. 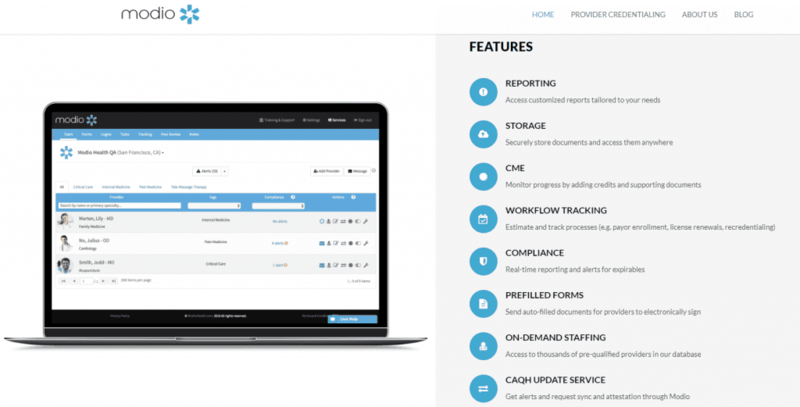 Credentialing software is a cloud-based system that allows your team to easily manage credentials and CMEs, set notifications for expirations and renewals, and access documentation, all from a centralized platform. By implementing credentialing software, the process becomes automated, relieving you and your team of the ongoing responsibility of searching through old paperwork, trying to contact team members, and the other manual tasks that can be involved with credentialing management. 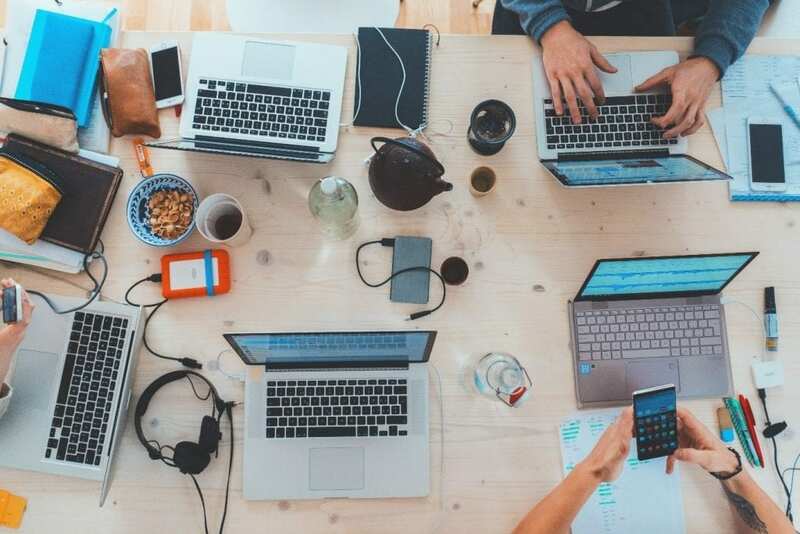 With a software system in place it is much more likely that an individual person or at least a much smaller team can handle this process, which frees up team members to work on other priority matters. This go-to person or team needs to be thoroughly trained in the software program that you implement and will often communicate with the software vendor as needed. 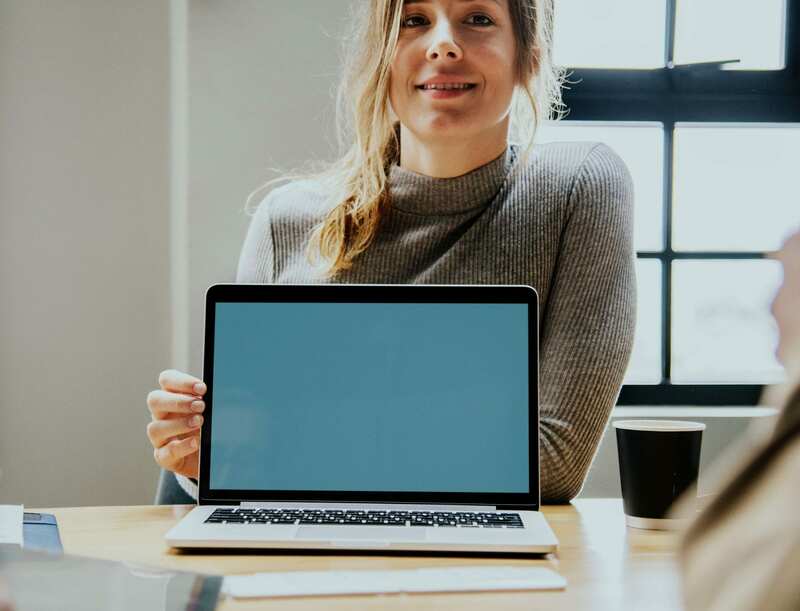 The best credentialing software programs also come equipped with the ability to conduct trainings within the platform, helping your employees learn the necessary information and take the proper classes to be credentialed. Each business is different, but inadequate training is a challenge that’s faced in any industry. And when it comes to credentialing, not having a properly trained workforce can lead to future legal problems for your organization. By inputting the training requirements for specific roles and even locations or departments into the credentialing software program, all individuals can be automatically assigned any tests or assessments they need, and can read about regulations by state or accrediting body if need be. 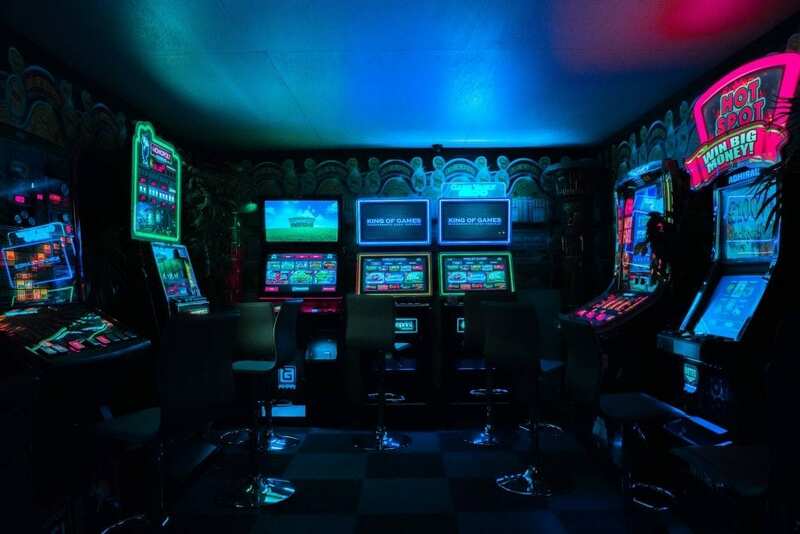 The team can then take the proper tests and trainings to learn the information and be approved, with record of completion all kept within the system. The software can also make it easy to adjust the requirements, so if state regulations or role requirements change, you can easily update the information, reassign the necessary testing, and be confident that your team is still compliant. The lack of comprehensive tools to track credentials often leaves healthcare facilities facing expiring credentials or other compliance issues. With credentialing software an organization can automate the process of scheduling multiple alerts for specific days that credentials need to be updated, and can automatically send messages to relevant employees to remind them of work that needs to be done on their end. 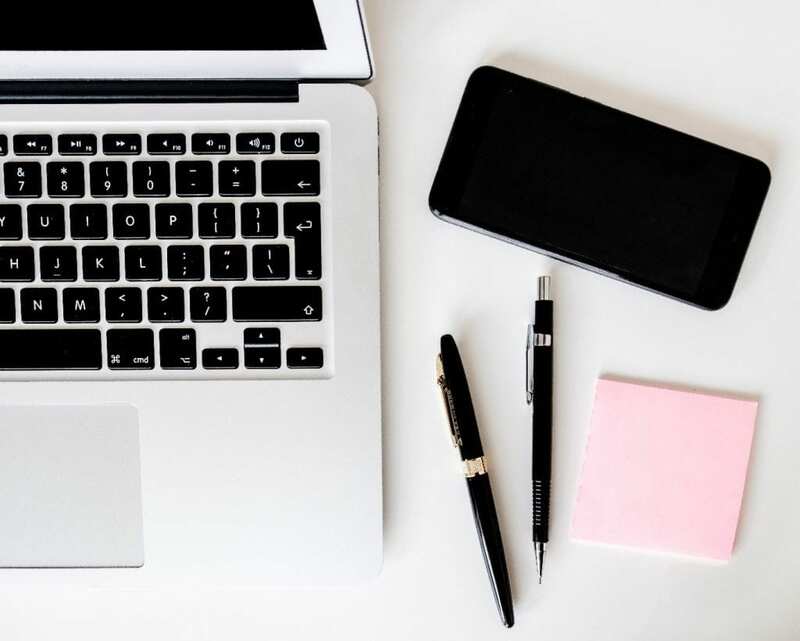 Transitioning from paperwork and manual tracking of credentials to a software system simplifies your day-to-day, saves time, and allows for better future planning. You can avoid the most common credentialing challenges and eliminate complications in a much more efficient and effective way with software. At CABEM we understand the difficulties organizations can face with the process of managing and tracking credentials, which is why we created software to address this problem. This SPIN Selling Summary Will Save 6 Hours And Win You Jobs! Nowadays there are countless sales books, videos, and more that promise to teach you how to be a better salesman. 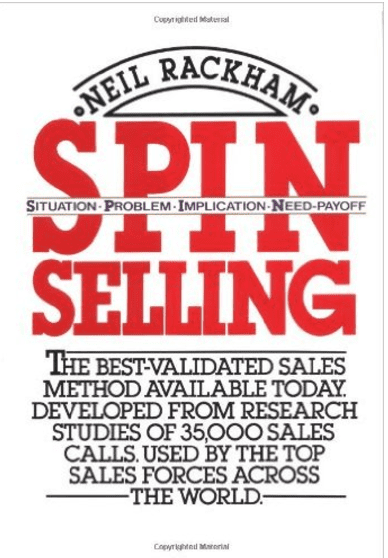 I’ve read plenty of them and I’m sure you have too, but one of the best ones that has stood the test of time is “SPIN Selling” by Neil Rackham. Personally, this book has helped me tremendously in my sales and marketing efforts. And after going through all of my notes, I felt I should turn them into an article that would be helpful to people, whether they are involved directly with sales or not. And at the very least, save you the time it would take to read the whole book! And in his research, he also found out that there were clear differences in sales calls depending on the product sold. 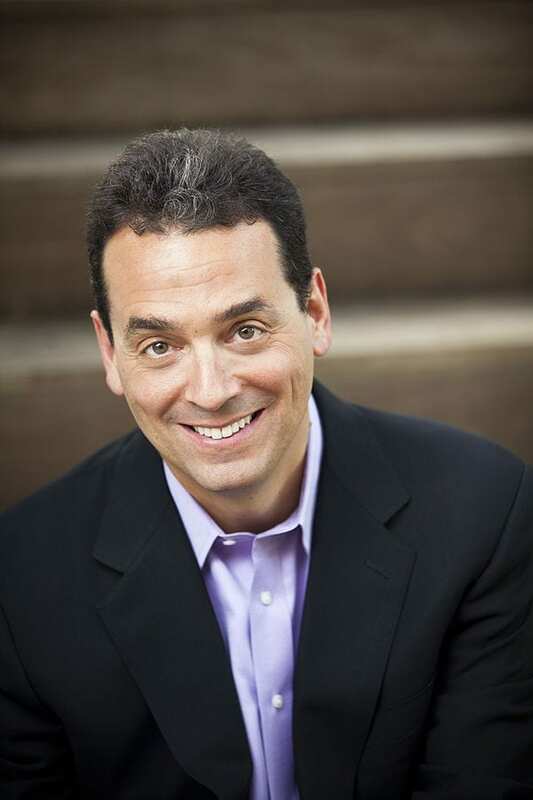 He made a distinction between complex, larger sales, and simple, smaller sales. The SPIN Model applies to complex sales. Complex Vs. Simple Selling: How Are They Different? Traditional sales techniques are good for simple sales (usually one call and a lower dollar amount) but do not work well for complex (multiple calls, large dollar amount) sales. This is for a variety of reasons, but two main ones are that complex selling requires buy-in from multiple stakeholders in the purchasing decision. 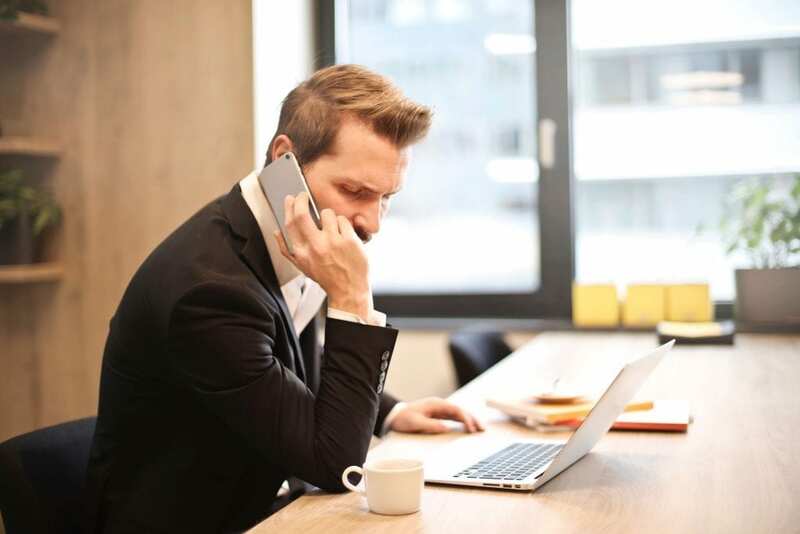 Because of this the seller engages in many phone calls and meetings that involve not only discussing the product or service, but also about building relationships, as he or she will be working with people in that company for a long time if the sale is made. And not only that, but another important distinction is that most of the dialogue does not occur during these calls at all, as it does in small sales, but internally between stakeholders of the organization after the sales calls. The sale is really made when the sales person is NOT in the room, but when the company employees discuss among themselves and agree to buy. For this reason, a sales person must arm their prospect with the tools to sell to their own coworkers. In addition to these major differences, keep in mind that the SPIN Selling model is not a rigid formula, it’s more like a road map. 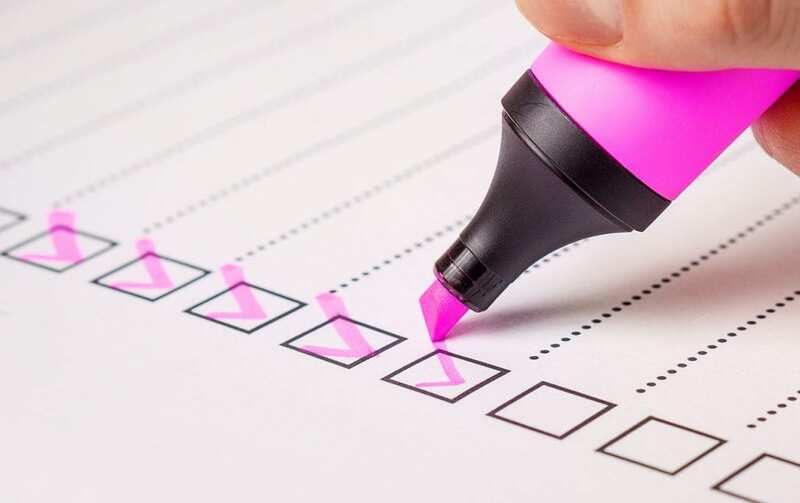 While the sales calls should loosely follow this structure it may not always, so do not view this like a checklist that must be done in a specific order all the time. What Are the SPIN Questions? Asking about the current state of the company to get context on their responsibilities, processes, tools, objectives, and more. Asking questions that allow you to identify any current problems the organization is having and start to formulate their specific needs. Asking leading questions related to the problems discovered in the last stage. These questions will magnify these problems and uncover how they can negatively affect the organization. This is the opposite of the implication stage. It involves asking questions about solutions. The seller will uncover how solving the problems identified will benefit the organization. If all of the stages are executed properly, the prospects will even tell YOU how your product or service can help them. It is difficult to think of questions for all of these stages on the spot. Instead, prepare yourself in advance. Before every sales call, write down three problems the customer might have that you can solve, and three examples of problem questions you can use to discover them. For specific examples of these types of questions and more info, go to the corresponding section below. But sales calls or meetings do not consist only of the seller asking questions. In the book, Rackham outlines four major stages of a sales call, including when to ask the SPIN questions. This is where the stakeholders for the vendor company and the potential customer meet. According to Rackham, don’t be afraid to get down to business in this selling stage. While spending a minute on pleasantries is okay, spending too long does not correlate to more successful complex sales. Instead, a better way to open larger calls is to go over the objective and establish your role as the seeker of info. Outline expectations so the customer feels comfortable from the beginning in providing information and answering lots of questions from you. The key to this stage is to remain focused on one thing – asking questions. This is the stage where you will go through the SPIN model by asking situational, problem, implication, and need payoff questions. In this stage do not focus on what you will tell the customer about your solution. This comes in the next stage. Always keep in mind that if you’re getting too many objections early on in the call, it means you’re not asking enough questions. Simply wait longer to offer a solution and ask more questions to fix this. This is the stage most sales people rush into, which is showing what your product can do and why it is a great solution for the customer. In the book Rackham states that a benefit “should show how the solution meets an explicit need expressed by the customer.” Only discuss features and aspects of your product that directly address these explicit needs you learned about from your SPIN questions. Do not talk about all of the ways the product can be used or all of its features, because at this point the customer does not care. This will only detract from what he or she wants to hear, which is how it will solve the specific problems that were expressed. And always keep in mind that value to the customer is so much more important than any specific feature or capability. Give attention to investigating and demonstrating capability. Double check that key concerns are covered and ask lots of questions. Summarize key points and benefits of the discussion right before moving to commitment. Propose a commitment and suggest a next step. Orders: This is when the customer makes a purchase and is a successful sales call. Advances: This is when you set objectives for specific actions (such as schedule a next meeting) and is also a successful call. Continuation: This is when the parties make an informal agreement to talk in the future, this is not a success. No sales: If the prospect has no need for the product, this is also an unsuccessful call. In simple selling, closing is the most important aspect, and you can try many types of established closing techniques to get this result. But with large, complex selling, it is different. 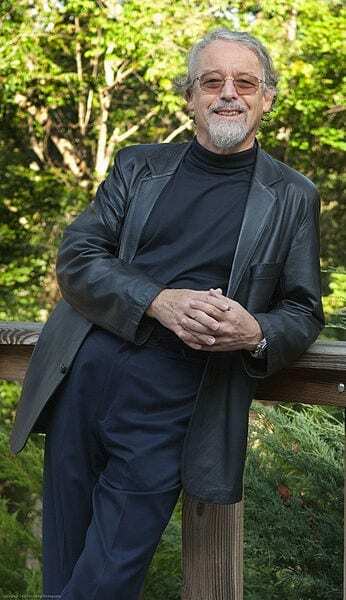 Rackham showed that high numbers of closes in large sales led to fewer wins. Once again, it is crucial to stick to asking questions and gaining information at first, not attempting to make a sale. And lastly, the best sales people review the calls after they made them to recognize what worked, what didn’t, and adjust accordingly. The best sales people understand the key to success is in the details of knowing what to ask and what you are going to do before the call even starts. Below I’ve outlined what the four SPIN stages are, as well as specific examples of questions you can use during each. Keep in mind these questions should be flexible and change depending on the context of each call! Situational questions help set the stage for the rest of the call and are how you learn basic information about the customer. Don’t spend too much time here, as too many situational questions lead to failure. 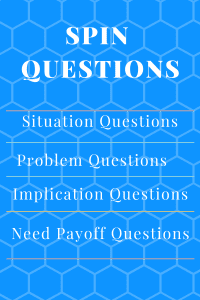 Ask just enough to set up the next stage, problem questions, which should be used more often. Tell me about your day to day duties? How many individuals and/or teams do you oversee? Which software platforms and tools do you currently use? How long have you been using these tools? What is your current budget for a replacement? This is where you identify the prospect’s current problems. 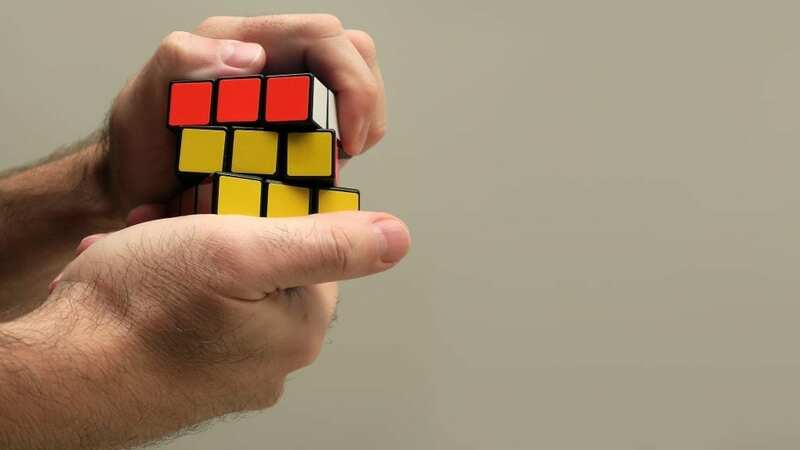 A simple method is to ask, “What are the issues with your current process?” Keep in mind that in large, complex sales, it is rare that your solution will solve every problem the company has, but customers don’t expect this anyways. They want the main problems to be solved, and at a reasonable cost. Many sales people discuss features and details in small sales – do not do this in large sales. Customers don’t care about the features at first, they care if their problems will be solved. In the problem stage, the successful sales person is a detective, and does not go into a sales call assuming to know all of the problems, but instead to ask the buyer questions to uncover them. 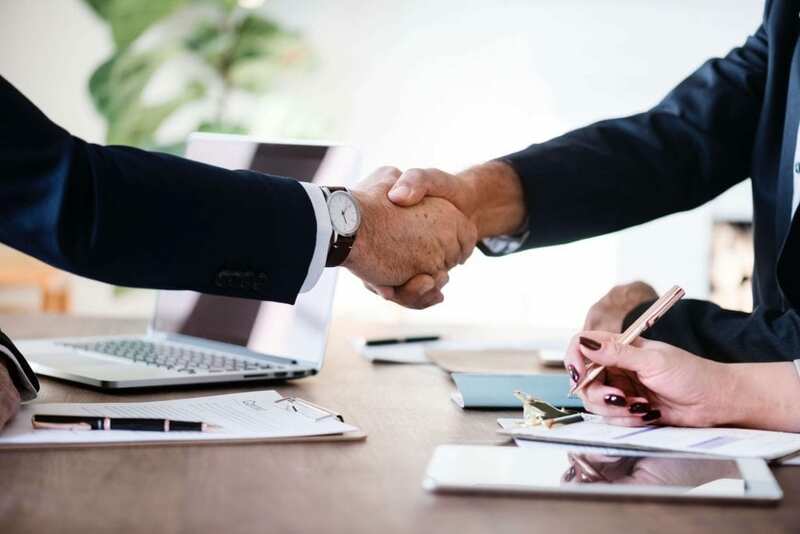 As the buyer answers the more general problem questions, the seller can ask more specific questions to uncover deeper issues the company is currently facing. How satisfied are you with the current way of doing things? Are there any problems with how things are done now? How many people are required to do the job with the current process? How long does it take you to do the job now? Is it too costly to complete an average job? If you had to solve one problem you have now, what would that be? This is arguably the hardest but most important stage of the call. This is where you expand on the problems you identified, and ask follow up questions to magnify them for the customer. Ask lots of “What if” questions in this stage. It is crucial to not offer a solution to the customer until the need has been built up to be strong enough, otherwise you will face objections. This will force you to think of answers to these questions, and uncover the deeper problems underneath. In many cases potential customers can identify their problems, but are so entrenched in their day-to-day activities they do not realize how much of their process is built around these problems. 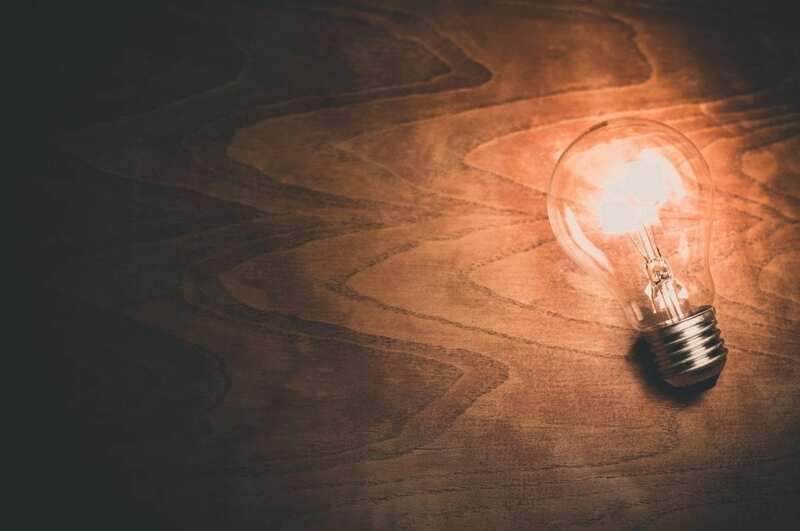 As you ask probing questions, the customer will have “lightbulb moments” and see how a problem that seems small leads to other problems throughout the organization. If you spend too much time on (duty they mentioned), what other duties are overlooked? Are there any business goals or KPIs you have missed because of (current problem identified)? If there is a problem with (necessary duty), how long does it take to fix this issue? Have you ever lost a customer because of the current process? In recent memory, what issues have been caused because of your current process? Have you gone over budget because of the current (too costly or timely) way of doing things? How does (the current situation) affect your personal career growth? If (day-to-day duty) doesn’t happen, what is the result? Does (prospect’s problem) affect duties of your superiors or other team members? When the customer raises needs, most sellers talk about their solution (product or service). But this is when you should ask need payoff questions because you get them to realize how they would benefit from having the identified problems solved. Remember, the prospect does not care as much about features, only benefits and value to them. Need payoff questions are so important because they focus the customer’s attention on the solution rather than the problem. Up to this point you have been identifying problems and magnifying them. The customer has a negative viewpoint, and this is where you take the opportunity to turn their thoughts positive and be the solution! If done effectively, the customer will actually describe the solution to you and how you can solve their problems. In the book Rackham tells an anecdote, of a successful millionaire dollar sales man. The man said it’s important to keep in mind that you (the seller) are only a small part of the selling. He recommends to think of a sales cycle like a play. Most sales people think they should be great actors, but they need to be great directors, meaning they are influencing other people to carry out the goal. The key to this is in the need payoff questions, because it helps the potential buyer think deeper about what their needs really are. As mentioned before, most of the selling really occurs between your contact and other key decision makers in the company. Need payoff questions are valuable because there is no way any prospect can be an expert in your product with one or two calls. But if he or she can recognize the needs that product solves, he or she can accurately describe its benefits to other people in the organization. In this way, your contact is an asset in selling to key stakeholders, even though you may not talk to them directly as often. What benefit do you see in (eliminating current problem)? If you could easily solve (identified problem) how would that help you achieve your current goals? If you could save time on (current situation), how would that help you? What could you do with the extra time you have saved? Would (eliminating current problem) save you money? Why is (action that accomplishes goal) important to you? Now that you have the knowledge of decades of selling experience, it’s time to go out there and start selling! Keep in mind that following the SPIN model is easier said than done, so be sure to practice scenarios on your own, and properly prepare for any upcoming calls. Good luck! Posted in BlogLeave a Comment on This SPIN Selling Summary Will Save 6 Hours And Win You Jobs! How is it that some companies continue to be successful and innovative for years, even decades? In any field this is a challenge, and even more so with the rapidly changing technology landscape. Companies that excel across decades can do this because they successfully implement cultures and philosophies that breed innovation, and an awareness of market trends. This happens purposely as a result of how the organization and its individuals act. One way of doing this is by developing core competencies. Competency management for individuals refers to defining the necessary skills required to perform successfully to a set of criteria, such as an employee’s role. And at a macro level, core competencies are defined as “strategic advantages of a business, including the combination of pooled knowledge and technical capacities, that allow it to be competitive in the marketplace,” according to Investopedia. Having a few central themes and behavior-sets help direct organizational decisions. Below I’ve highlighted Google, Amazon, and Facebook, outlined common themes that allow them to be innovative, and summarized them so you can begin to implement them as core competencies within your own organization. Google is a company that is synonymous with search, and as a result, information. Google is the world’s search engine leader, with over 63% of U.S. searches conducted on the platform, which accounts for 84% of its total revenue. 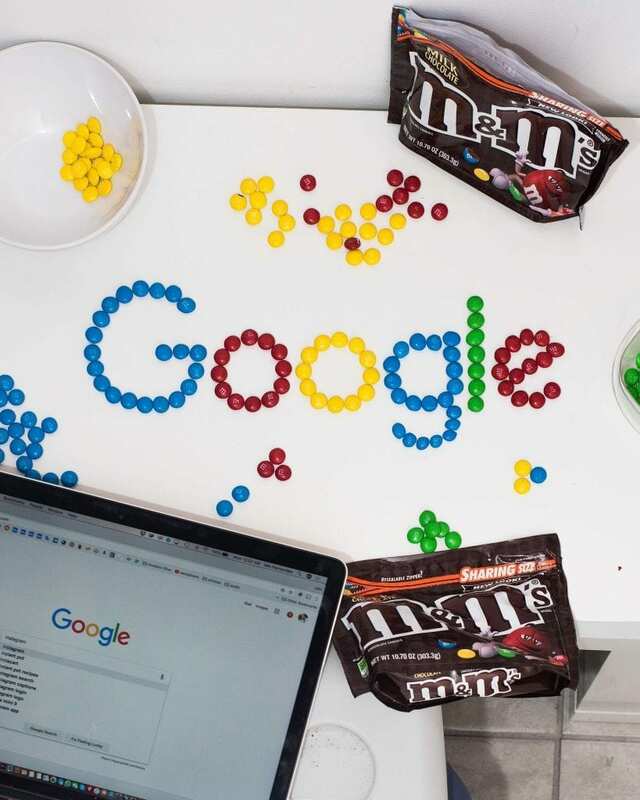 Google is one of the world’s most innovative companies because it does not stop at just delivering the world’s most popular search engine, but in carrying this mission of democratizing the world’s information through many other methods. These include platforms that today are commonplace such as Gmail, Google Maps, and Google Earth, to futuristic missions such as driverless cars, and delivering internet to the more than three billion people who still do not have access. The organization is famous for building in change and innovation into the company from the ground up with its creative structure. One example of this is with its “20% time” model, which allows employees one full day a week to work on any project they choose. Google has even upped the ante on its dedication to change with its in-house incubator Area 120. According to Fast Company, this idea was instituted two years ago, and is similar to 20% time, with one major difference – employees who are selected spend 100% of their time on the project. Google can behave like a startup with the resources of a major corporate company in this way. With such divergent products and services, from a search engine, to driverless cars, to Android phones, Google is a huge proponent of the “open-source mentality” that many developers have. The company welcomes research and insight from many types of people and disciplines, whether they are in the company or not. According to Inc.com, Google greenlights over 250 new research projects a year, spending billions of dollars in the process, and even inviting researchers on-site for their sabbaticals. The company has a history of acquiring or investing in seemingly unrelated companies due to scientific or data capabilities. Examples include Nest, the thermostat and smart home company it acquired for $3.2 billion, or 23andMe, the company that can sequence anyone’s genome, in which Google invested millions of dollars. Google welcomes all types of researchers to access its tools, data, and knowledge in order to make discoveries. And in the truest sense of the word, Google’s wildly successful Android operating system is fully open source. It’s worth noting that Android phones account for over 80% of all phones sold. With so many ambitious projects that Google has produced or is currently working on, it’s no secret that the company likes to think big. But just thinking is not enough, the company backs this up with its actions, and segments the organization in ways that allow its best big thinkers to do what they do best. Google underwent a huge structural change in 2015, repurposing the company so that its core services (such as search and AdWords) were under the Google umbrella, but its more diverse projects were under different companies. The overarching parent company is called Alphabet, which owns Google as well as several other companies, all of which report to Larry Page, one of the co-founders of Google. This is a big deal because it allows Alphabet to make longer term bets with its other wings of the organization, while continuing its core products/services. Waymo: A self-driving car project. Wing: A delivery drone service. Loon: A project to create worldwide internet access using balloons. Malta: A project to store renewable energy in molten salt. Brain: A research project on Artificial Intelligence and machine learning. This is just a fraction of the ambitious projects Alphabet, Google, and X have in the pipeline, which sum up Google’s core competencies in a nutshell. As Managing Director of Area 120, Alex Gawley says, “You want to build products that solve problems that people encounter daily.” Google can do this consistently because of the core competencies it has developed and deliberately built into the culture of its organization. It’s no secret that Amazon has become an incredibly successful and omnipresent company in the marketplace; the organization is currently listed as the second most valuable in the world. Amazon thinks of itself as “Earth’s most customer-centric company” according to its website’s mission statement. 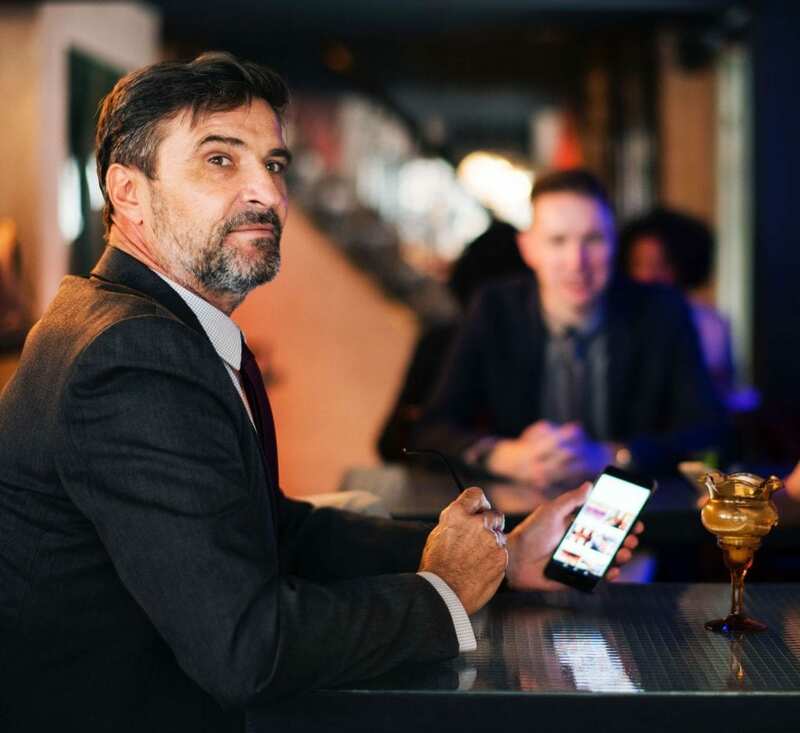 It delivers on this mission with an unparalleled ability to streamline the buying process, deliver products quickly and efficiently, and to create tools and an ecosystem where vendors and customers can connect with each other. The company changed the ecommerce landscape with the introduction of Amazon Prime and guaranteed two-day shipping back in 2005. And it went even farther with the introduction of Prime Now in 2015, guaranteeing delivery within two hours for select products and in select cities. This type of distribution capability is unmatched by other organizations. But Amazon thinks differently, and not only wants to provide products to the globe, but to provide tools and platforms for others to create and run their businesses. In this way it executes on another competency, creating closed ecosystems and platforms for sellers. On Amazon.com in 2017, over half of all sales were by third party merchants, according to a shareholder’s letter by CEO Jeff Bezos. And not only that, but 55% of online shoppers begin their product search on Amazon, according to a 2016 survey from BloomReach. With such a high volume of businesses succeeding on Amazon, the company ensures that not only will it continue to earn fees from these companies, but that they will stay on the platform because they are making money! Twitch is a massive force in the video game industry and streaming in general. One of the most popular broadcasters is a 26 year old who goes by the name Ninja, and makes an estimated $350,000 each month from the platform. He was recently joined by popular rapper Drake during a Fortnite game, smashing Twitch’s record and resulting in 628,000 concurrent streams. Twitch is growing in popularity fast and will become a platform that many aspiring gamers build their careers on. In a totally different market, Amazon has also become the go-to platform. According to Observer, 44% of audiobooks are purchased on Audible.com, which Amazon owns. Audiobooks are growing in popularity, increasing sales by 20% in 2017. Audible is not only the place people go to listen to audiobooks, its where many independent authors sell their books, and depend on the platform for their careers as well. Amazon made a big early bet with its cloud computing network, Amazon Web Services. AWS now hosts over 33% of the cloud and is Amazon’s fastest growing business, growing 252% in the past three years. While competitors such as Google’s Cloud service and Microsoft Azure are growing too, Amazon has a big lead. Amazon has positioned itself so that it hosts much of the world’s internet. Not only do independent streamers, authors, and small businesses depend on Amazon’s platforms, huge organization such as Netflix, Spotify, Airbnb, Comcast and more host platforms using Amazon Web Services. And lastly, while Amazon’s dominance on the web is clear, it is worth noting that the company is making strategic acquisitions to establish themselves offline too. With its purchase of Whole Foods in 2017, the company now sells the food you eat as well. Amazon’s vision is to create closed, interwoven ecosystems of buying and selling. Many people now and in the future will buy most products on Amazon.com, buy groceries from Whole Foods, host their website on AWS, and use Amazon’s Ecommerce platform for their business. 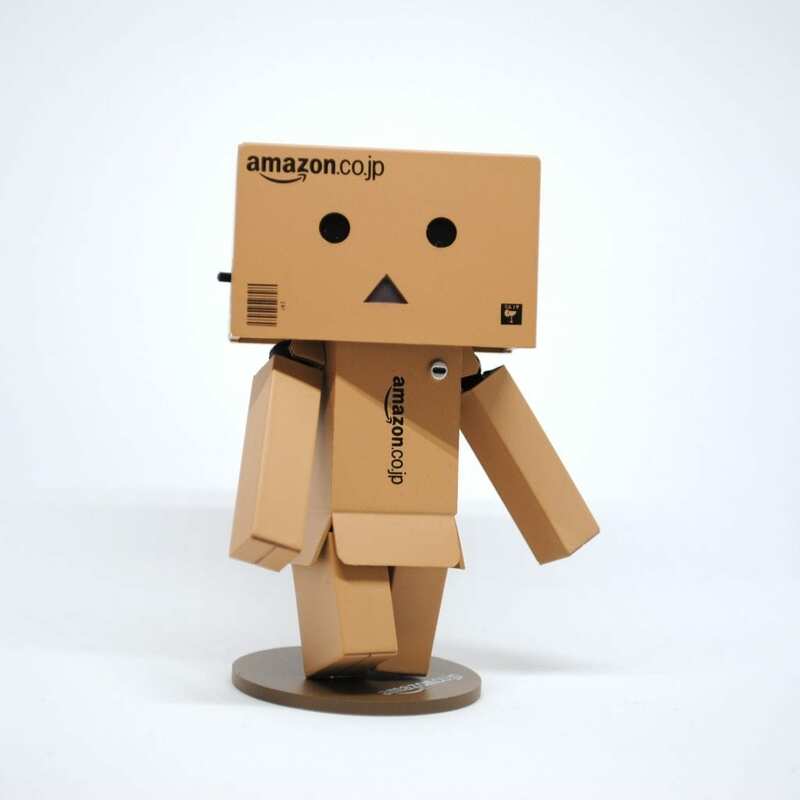 Amazon understands the virtuous cycle that occurs as more and more commerce platforms are interconnected and owned by the organization. Of course, none of this is possible without a reliance on sophisticated technology and a constant push to improve it. Amazon has its hands in many divergent markets, but with all of them it brings its signatures of unparalleled customer convenience and forward-thinking technology. Amazon can innovate quickly and consistently because it practices an agile methodology, a common approach to software code writing, and applies this to the organization at large. It focuses on creating small teams quickly and producing a minimum viable product as fast as possible. The organization prioritizes “launching early over everything else,” according to a former employee memo. One example of Amazon leveraging technology in a disruptive way is its own version of a convenience store, called Amazon Go. These cashier-less stores have high tech cameras that record what customers choose, and then charge digital carts as people walk out of the store. 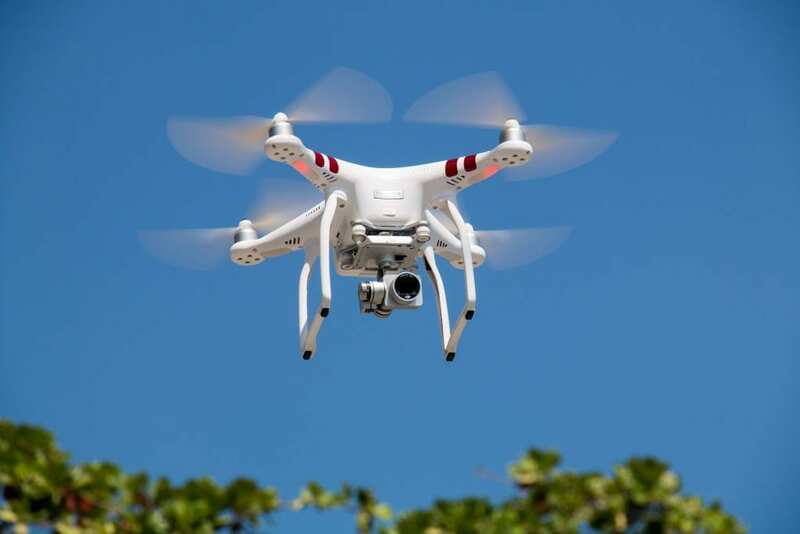 Examples of leveraging technology can also be seen in its use of drones and robot workers to help improve efficiency of its ecommerce business. The company currently uses robots in its warehouses to help with moving inventory, and has plans to deliver to customers’ doorsteps using drone technology. 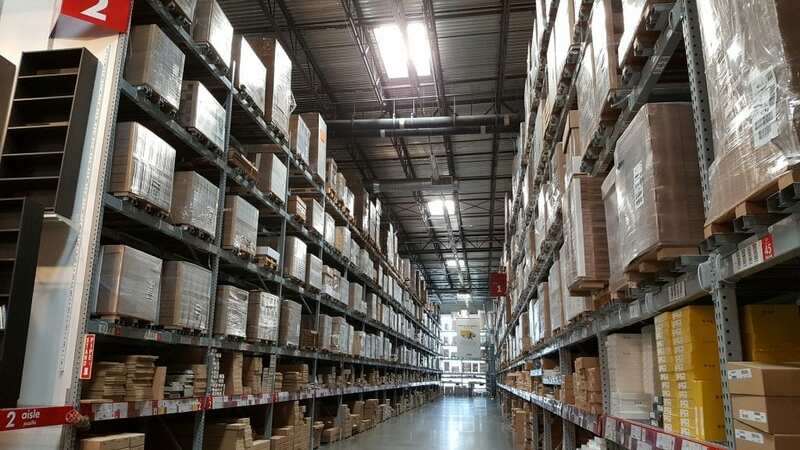 Amazon constantly delivers on its mission of being “Earth’s most customer-friendly company” due to a consistent reliance on core competencies such as distribution, logistics, creating platforms and tools for people, and leveraging technology. This agile approach can come with its fair share of difficulties. Facebook has faced plenty of backlash with controversies lately, including a major data security breach that led to Zuckerberg testifying before congress. But this willingness to be bold and fast-moving has its benefits. Facebook consistently creates products and improvements to its platform quickly. 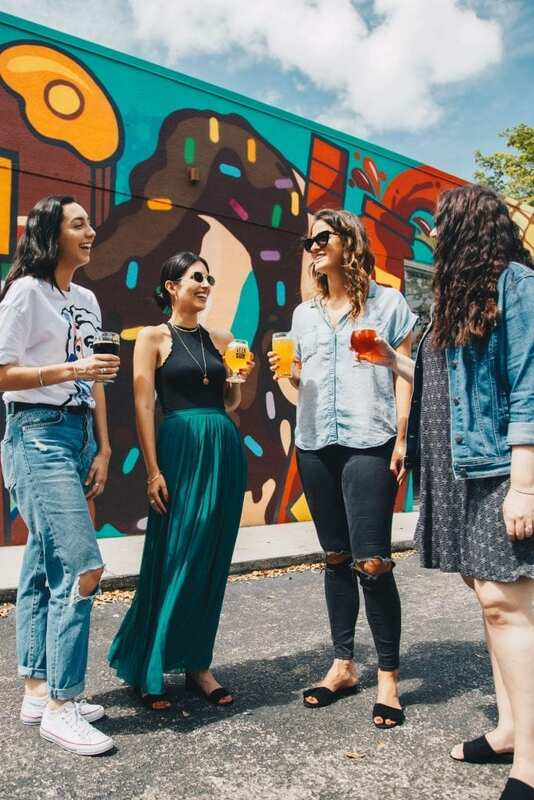 Significant features such as removing trending topics, adding timeline stories, and adding image filters have all been launched in the past few years. The “hacker way” allows the company to move quickly and constantly improve the platform. Facebook also notably gives its employees autonomy and trust, and with that comes self-imposed high standards of responsibility and performance. 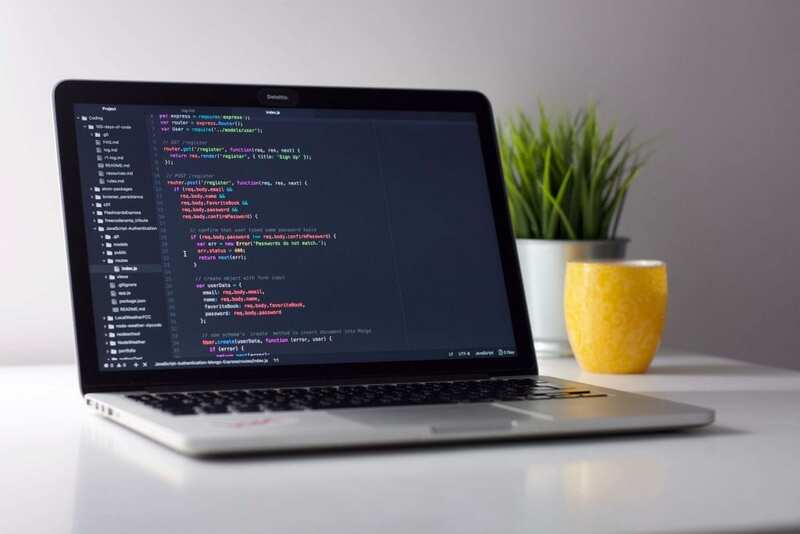 In an article written by a former employee Pedram Keyani, he tells a story about working on a code change to the Timeline which was pushed out to 25 million people on his second day at the company. 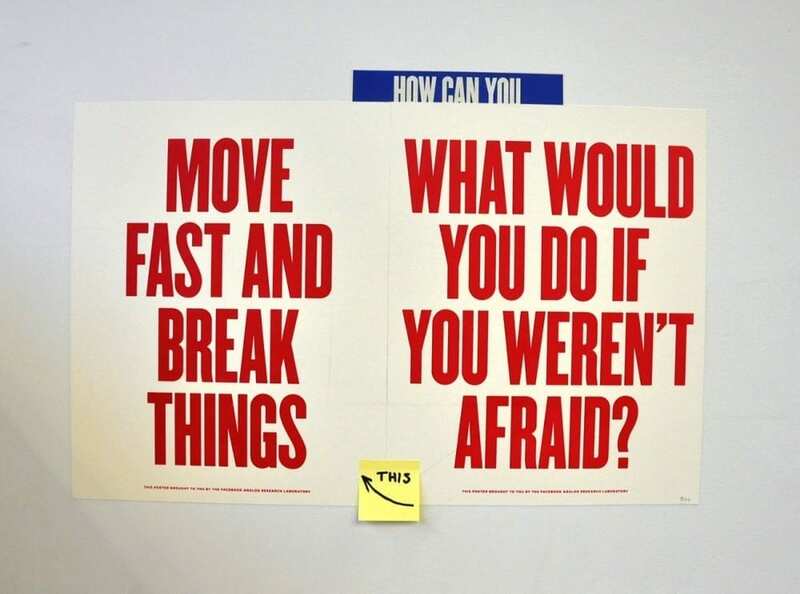 Facebook can make innovation a daily habit with these principles. According to Spigit, which provides innovation management software, idea frequency, implementation, and executive buy-in is crucial. These are three principles Facebook holds. Not only do the employees self-organize and enjoy the process of creating new products, but executives including Zuckerberg himself, get involved and implement the best ideas that stem from these sessions. This motivates employees to continue thinking outside-the-box. And lastly, Facebook can innovate and be successful because it operates based on a shared goal of changing the world for the better. The company’s mission is to “make the world more open and connected,” and this inspires employees to create great products and services. This philosophy drives all company actions, whether operational decisions, or hiring, and allows the organization to be consistently competent and high-performing. Facebook is listed every year as one of Glassdoor’s best companies to work for this very reason. The employees believe in Facebook’s mission and are inspired to go to work every day. 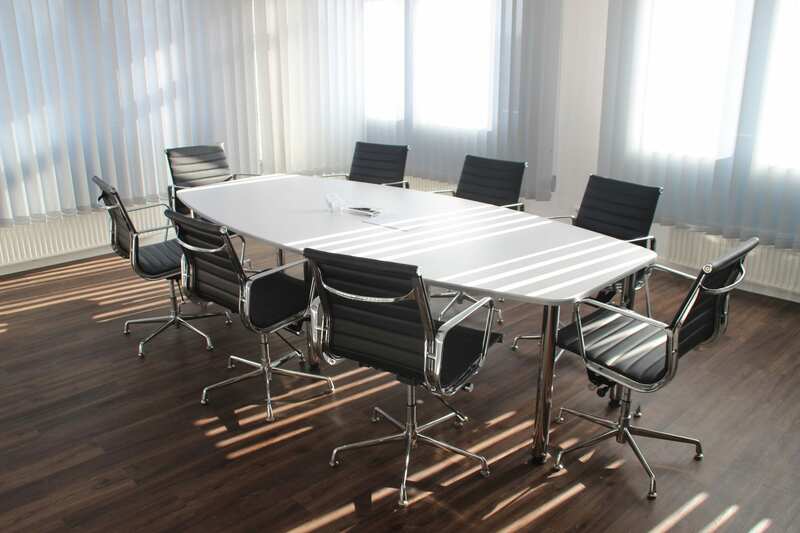 Be open to new ideas and open communication with executives. Trust employees and give them freedom. Move quickly and look for the next improvement always. While it may seem obvious, being an innovative company does not happen accidentally, but by deliberately setting the company up for this type of success. Google, Amazon, and Facebook all have different ways of accomplishing this, but all have the type of structure that allows them to innovate. With Google, the restructuring of different goals throughout the Alphabet umbrella, and with Amazon, through its small starting teams on new initiatives. Not only are these companies structured in this way, but the culture promotes and encourages innovation. 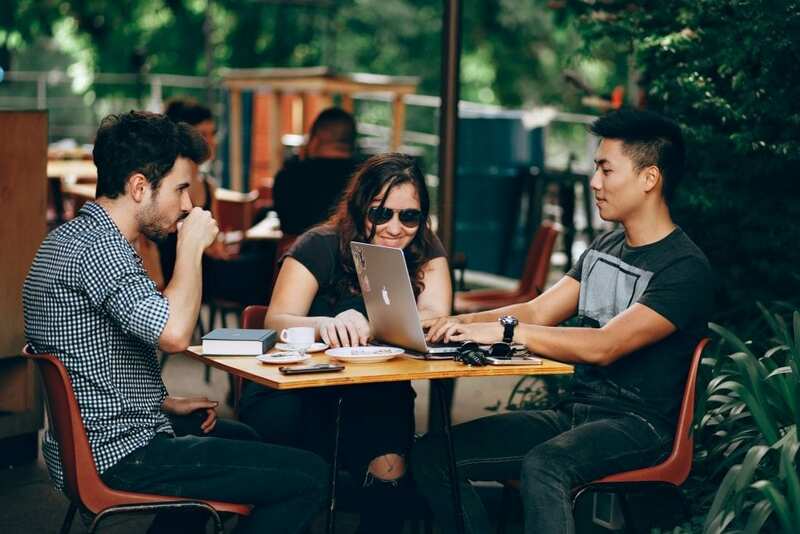 Through hackathons, structured time away from core duties, collaborative office environments that encourage discussion, and more, these organizations produce environments that are conducive to new ideas. New ideas that come from within an organization must be encouraged by executives to flourish. They must be approved from the top-down, but often are sparked from the bottom-up, according to an article in Forbes on innovation in the workplace. But not only that, most innovative organizations welcome ideas from outside perspectives and divergent disciplines. 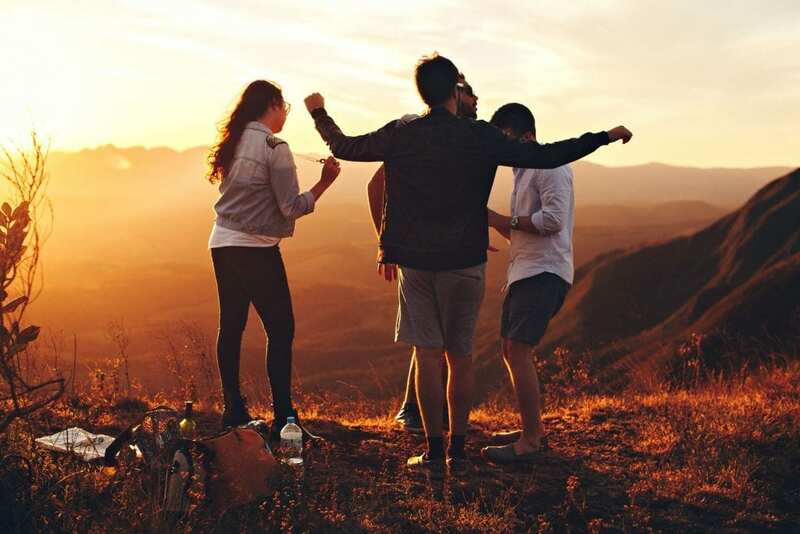 Cross-functional teams of individuals in different roles can help encourage new ideas, or even bringing in outside resources to help foster creativity such as a consultant or freelancer. In Google’s case, it even brings in academics and researchers who spend sabbaticals within the organization. With this kind of encouraged collaboration happening daily, innovative ideas are born organically. A logical step from creating a culture of innovation and executive buy-in is of course, fully trusting your employees and giving them freedom to do what they do best. The best example of this is of course Google’s 20% time, but there are many others. Give employees autonomy, allow them to do what they are most competent in, and give them purpose. Success and innovation will follow naturally with that recipe. Companies cannot be the most innovative in the world, creating products that have never been thought of before, without the reality that failure will occur. But by thinking of failing fast as a core competency and a success, not a mistake, organizations can move past these inevitable roadblocks. 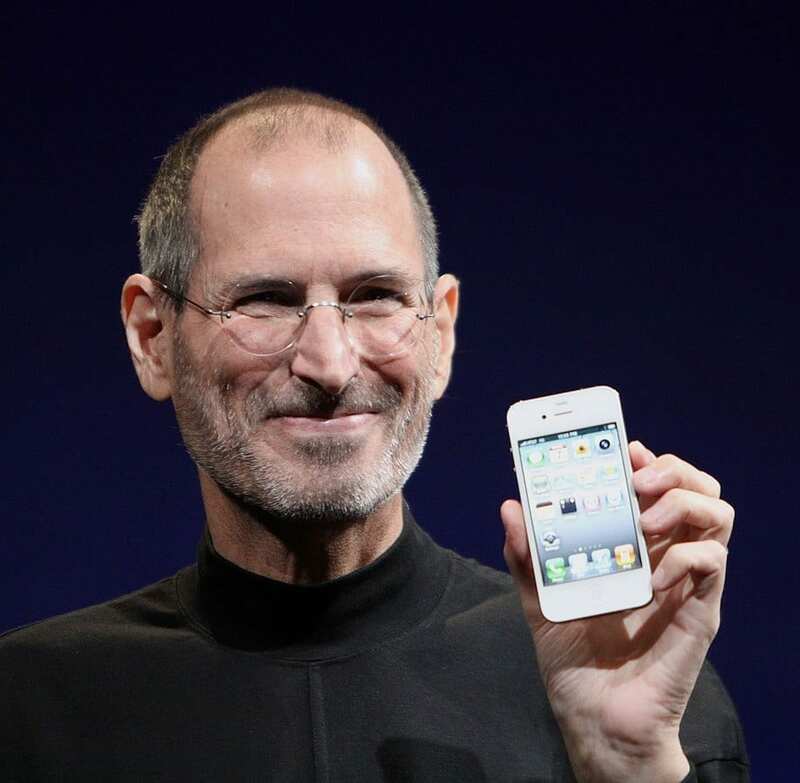 “Failure is the way to be innovative and successful. You can fail with pride,” says Google’s chief social evangelist Gopi Kallayil. The greatest organizations may have lots of products and services that are seemingly unrelated, but they all follow a singular mission. And as organizations grow, and hire people who believe in this purpose, it only gets stronger and more meaningful. Whether it’s “To organize the world’s information and make it universally accessible and useful” like Google, or “To give people the power to build community and bring the world closer together,” like Facebook, these ambitious goals drive the world’s most innovative organizations. And with this blueprint, it can drive yours as well. In order to succeed and innovate like a FANG company, you must run your organization and train your employees in an innovative way. 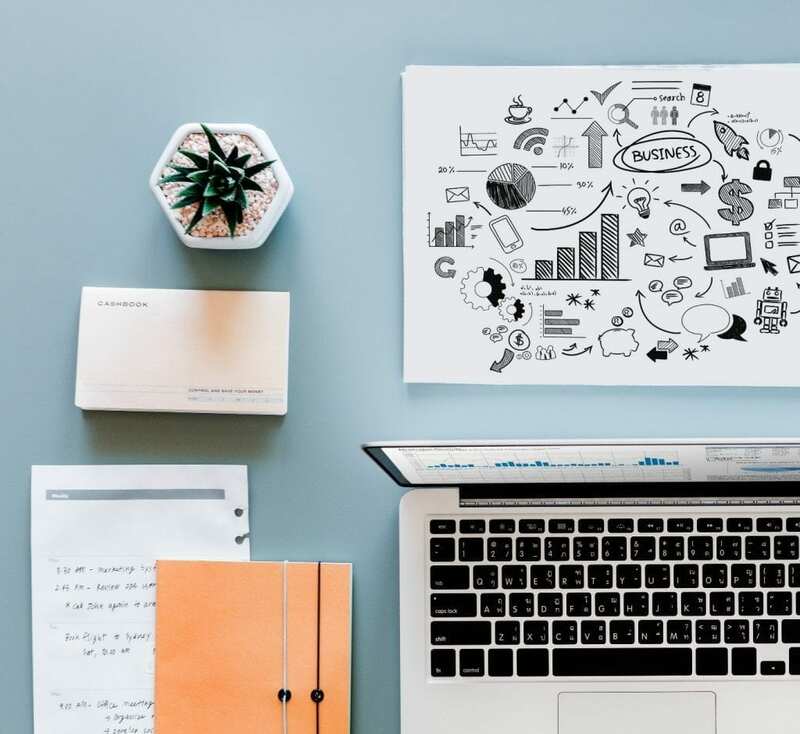 While many companies train using Learning Management Systems (LMS), or using documents and spreadsheets, these are outdated and incomplete methods. Competency management software such as Cornerstone or our own Competency Manager allows companies to formally build competency programs and deliver them to all individuals and locations across the organization. This allows them to not only train individuals, but to prove that the training is successful, and track progress and/or required credentials. To learn more about competency modeling and management, schedule a demo of our Competency Manager software today. Competency Modeling for Beginners: What it is and How You Can Do It Too! Competencies are more all encompassing than job skills because the idea is they take into account soft skills such as knowledge, behaviors, and abilities in addition to technical or required skills of a role. And this collection of competencies makes up a competency model. 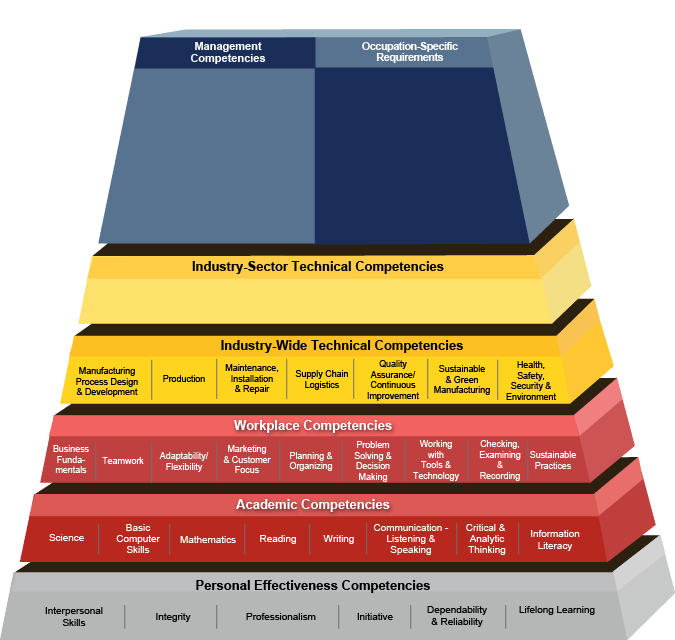 Whether your company needs to assess hard or soft skills for business goals or due to compliance with quality and safety regulations, implementing competency models within your organization will supercharge your learning and development program. facilitating team interaction and maintaining focus on group goals. demonstrating a personal commitment to group goals. While these models can often be as simple as a bulleted list, a visual diagram can help leadership and direct reports get a better sense of how the competencies are interrelated and its key features. They can also include information on career pathways and how the requirements of the hard or soft skills are different at various levels of mastery and experience. 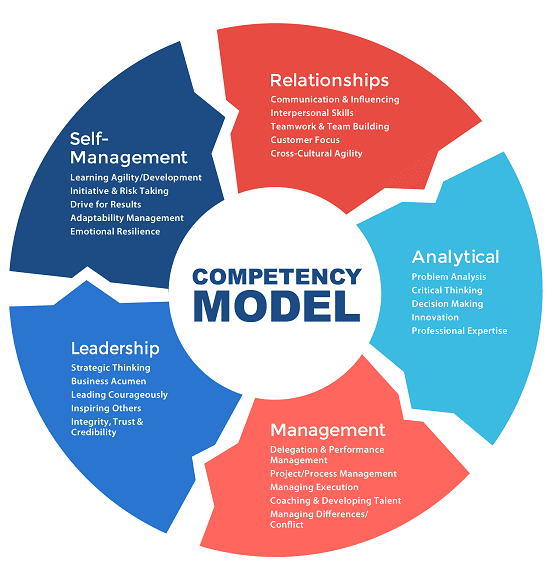 Look at this competency model from CareerOneStop.org as an example. It is the Waste and Wastewater model. And to learn more about manufacturing and competency management, read our article on the topic. Once the model has been put in place, there are many different ways to implement it into an organization. Many companies use elearning and training software such as Learning Management Systems (LMS). More advanced companies use Competency Management Systems. See a few examples of this below. Human resources and training departments use competency models to define skill requirements for specific positions. These models are also used to assess performance and job progress, and in this way help set business strategy throughout the company as a whole. Understand the position of the company’s product/service with regards to market demand. Any worker possessing the above competencies will make them a more valuable employee. And as you can see, workplace competencies encompass much more than the technical skills required for job performance. In this Advanced Competency Model, they also include issues related to business ethics, legal/financial issues, environmental, health and safety, and social responsibility issues. AAI also goes on to describe how competency models can not only help with the learning and development of current employees, but can aid in the process of hiring to determine what to look for in a candidate and career pathways for each individual from day one. Look at their version of a competency model below, and notice the similarities and differences from the one that CareerOneStop put together. The pace of change has accelerated—and with it, the skills required to be successful continue to change. To survive today, companies must continuously innovate, which only increases the changing skills required. People stay in the same job for less time and, therefore, people need to be able to become “great” without as much experience as they had in the past. New workers entering the workforce want to be able to make an impact more quickly; they want to know how to be “great” right away and are motivated to get there. Managers need to know what hard and soft skills are required for themselves and their direct reports to excel. They must also understand how to innovate and maximize their talent management potential. This leads to more motivated individuals and success for the organization. Now that you understand what a competency model is, have seen examples, and how they are valuable to an organization, it is time to make them for yourself! To use competency models, it is important to identify who the key instructional designers and subject matter experts are in your organization. These personnel will be instrumental in not only creating the models but also distributing them to the organization and making sure they are implemented effectively. Depending on the type of organization, these individuals could all be in the HR department, but it is likely they are in the Learning and Development department, as well as some members in the Quality and Safety divisions. 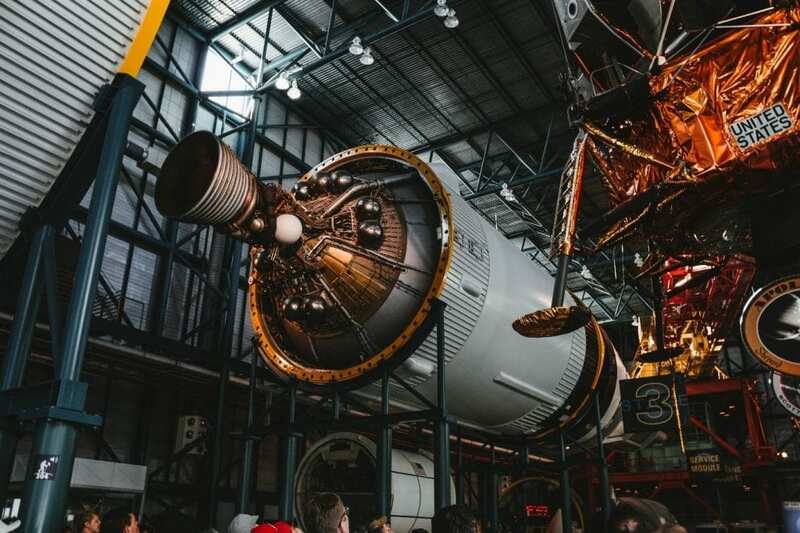 Many organizations use a combination of spreadsheets and written documents to write down the competency models, and then put the onus on L+D leadership to carry them out to the rest of the organization using an LMS. This can be effective, but as organizations grow and requirements change, can become problematic. To learn more about the importance of Competency Management in an organization, read our article. Here at CABEM we believe that the best way to positively impact your employees and learning and development programs is with a competency management software system. We designed our Competency Manager product for this exact reason. If you see a value in this type of approach and want to learn more, we’d love to give you a demo. Posted in BlogLeave a Comment on Competency Modeling for Beginners: What it is and How You Can Do It Too! Developing competencies for an organization is as important as it is challenging. 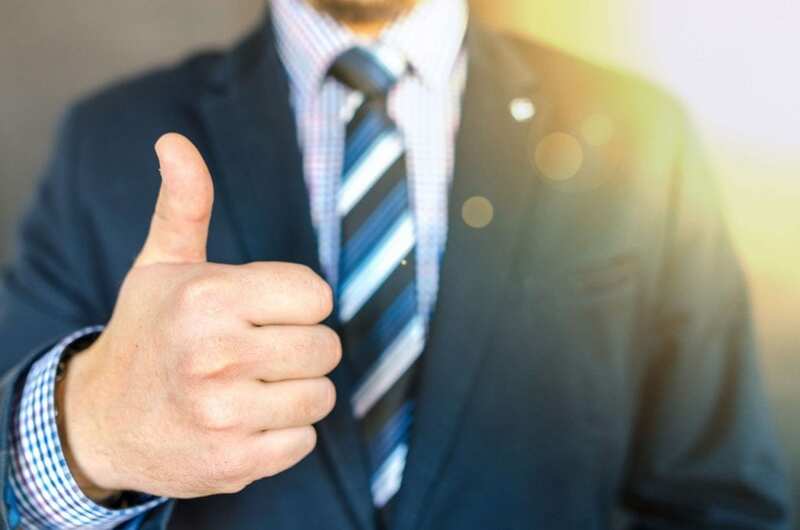 While most of the focus in competency management is for the individual employee, it is equally vital for C-Level executives, managers, supervisors, and other decision-makers to adhere to competencies specific to them. In a Harvard Business Review study, Sunnie Giles analyzed 195 leaders in 15 countries over 30 global organizations. Participants were asked to choose the 15 most important leadership competencies from a list of 74. As a CEO, look at the above five groups as guiding principles to your management style. 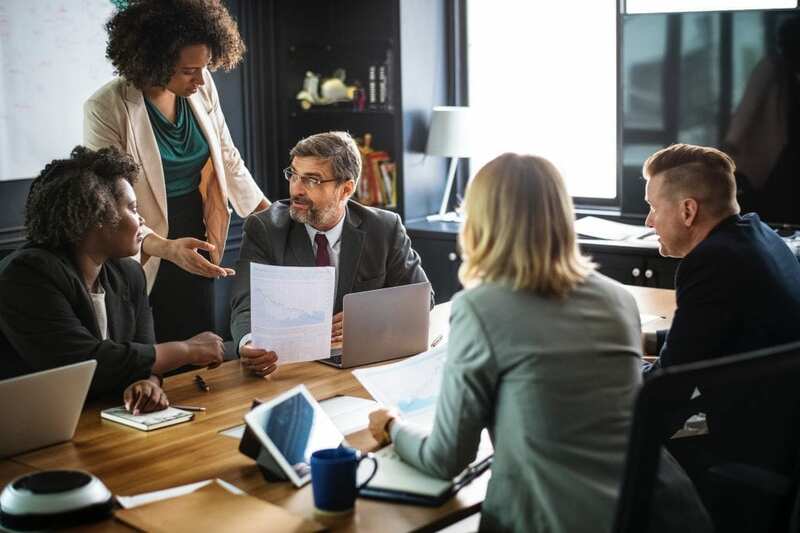 As other leaders have agreed upon these, they can help you make sure you are behaving in ways that not only benefit not only the organization as a whole in accordance to these themes, but also improving your own skills and personal development. Are you, as a CEO, upholding the standards that your company represents? Do you motivate your employees to act in a fair and balanced way in all their business transactions. Are you treating all individuals and customers with respect, and communicate about the importance of honesty in all business dealings? If you do, then you are contributing to your employees’ sense of safety. 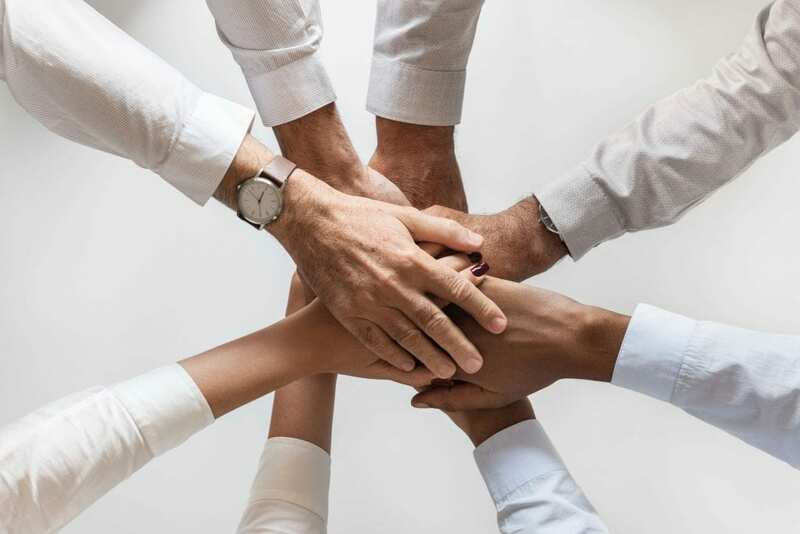 A workplace where standards are defined and upheld, and where personal differences are respected, is one where employees can thrive and work together as a team. As Giles noted, research has repeatedly shown that empowered teams are more productive and proactive, provide better customer service, and show higher levels of job satisfaction and commitment to their group and organization. Are you a leader who hesitates to let people self-organize or resists giving up power? A leader that is able to do this successfully sets his organization and individuals up for long term success. If you are a CEO who wants to promote a sense of belonging among your employees, this goes beyond simply holding a Holiday party every December! You need to reinforce this sense of connection every day, in all your corporate communications and in your behavior. 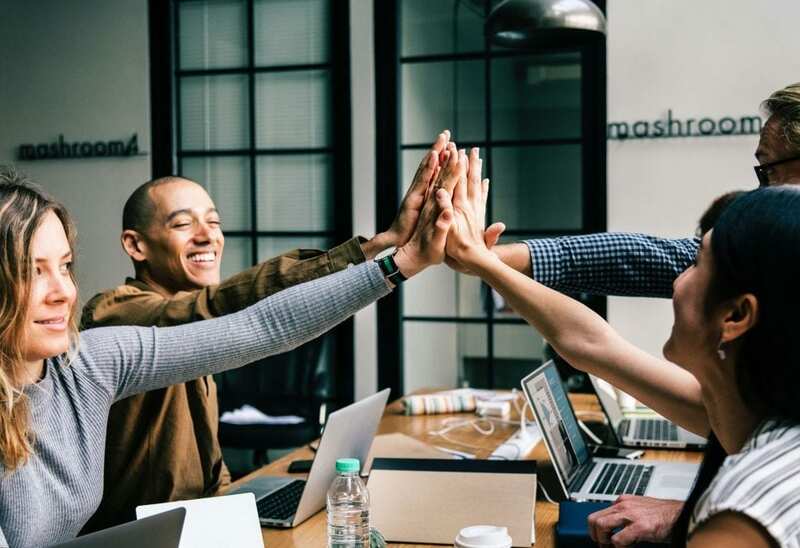 Walking through your company’s offices each morning and greeting employees by name, asking about their families, and giving them recognition for a job well done all go a long way towards developing a sense of connection in your team. 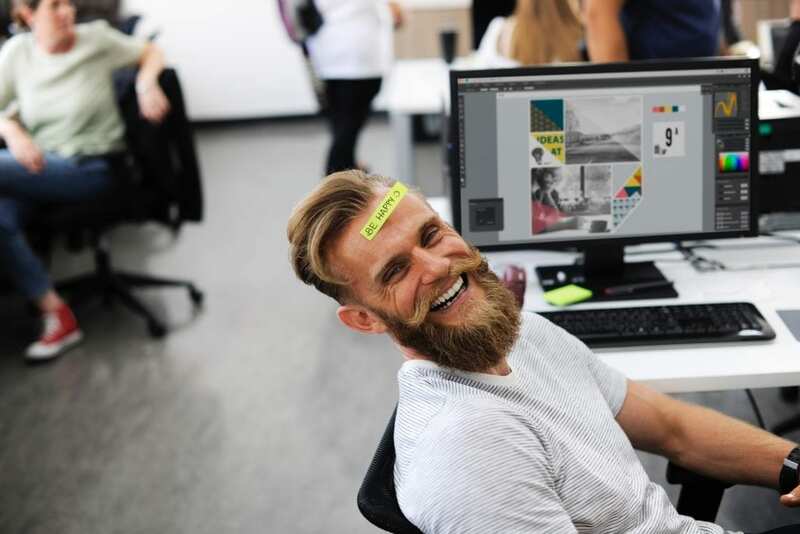 As you do this your employees will not only feel more appreciated and have improved morale, but improved performance as well. You want to be the type of leader who shows support and encouragement to employees who come forward with ideas about how to improve processes, save time and money, and make other suggestions that will make the workplace more productive. You also want to foster organizational learning at your company, to give workers the chance to improve themselves, seek opportunities to advance and to acquire new skills. All of these will have an impact on both your operations and your business development. If you develop an environment that encourages risk-taking, and that sees failure as an opportunities for lessons and growth, then you will support employees in their creativity and find that your company is a place where people enjoy their work and thrive in their roles. Are you a CEO who nurtures growth? Are you willing to listen to your managers as they grapple with problems, and do not judge them as they try out new solutions? If you do this, you will be nurturing their growth. People learn by experience. Sometimes they have to fail to grasp a lesson well. And if they do, help them get back up and try again. 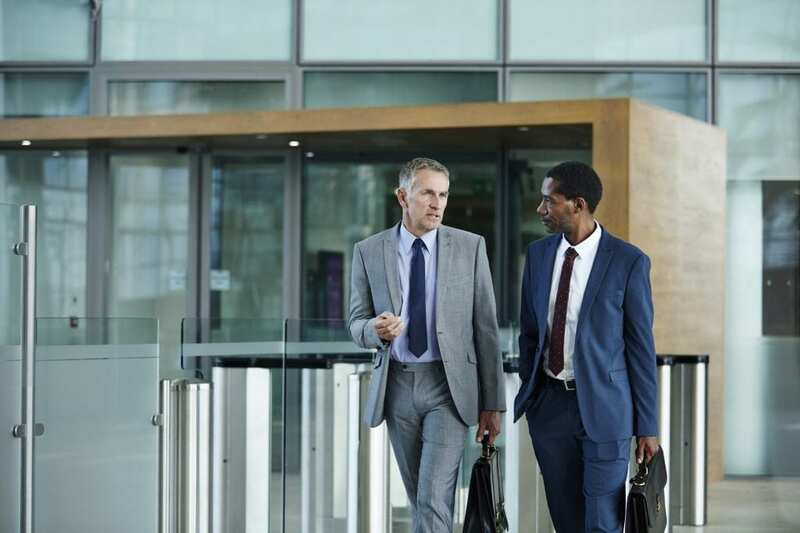 Your managers will grow in the process, they will trust you as their CEO, and they will feel confident they are developing skills as they move forward. Many leaders instinctually have all of the above competencies, and some do not. But either way, it is important that leaders formalize their own competencies just as they do for their direct reports and others. Develop or implement a competency management system in your company that allows you to lead by example, so you can clearly communicate expectations throughout the business. Don’t be restricted by what has been done in the past; push the boundaries and welcome feedback as to what your employees like or don’t like about your competency management process and learning and development program. Competency management software will help your senior team to get ahead of the change curve and identify opportunities quickly, which in turn “will build a greater capacity in individuals, teams, and networks to undertake successful change,” said the authors. Most importantly, your competency management software will enable you to understand the potential of technology to transform your organization and the world. You want to achieve significant accomplishments and do so in an efficient, effective, and lasting way. Competency Management software will be critical to your success in this endeavor. If you are interested in making this shift, talk to us! Our competency management software is flexible and scalable enough to accommodate growing organizations of any size.